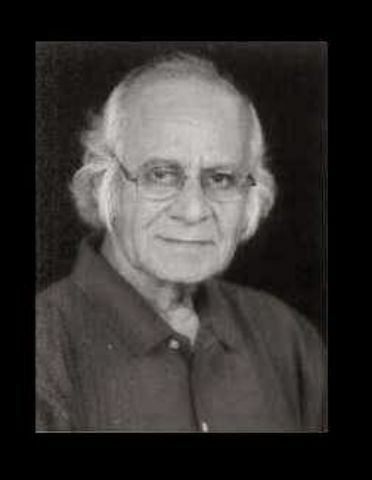 Adil Mansuri was born and brought up in Ahmedabad, though with a stint with his father in Pakistan after the Partition. 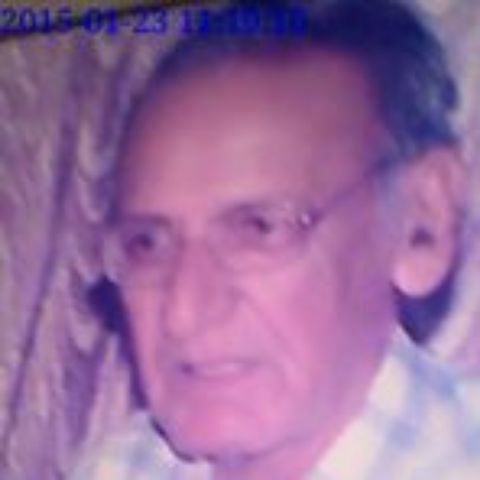 Mansuri joined his father’s wholesale cloth business in Pakistan.This created problems for the family when it returned to India,for the Indian authorities thought that the family was Pakistani.In 1980 the matter was resolved in favour of the Mansuri family. 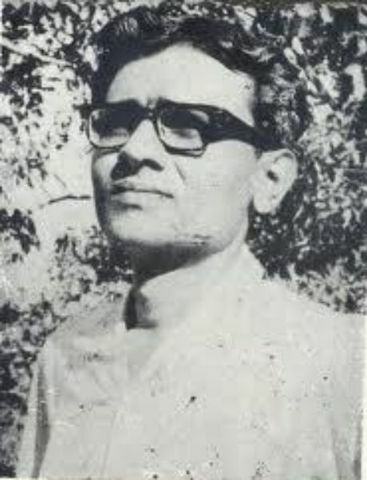 Mansuri matured through interacting with fellow poets in ‘Budh Sabha’,a gathering of poets in Ahmedabad every Wednesday, and also ‘Re Math’,a conclave of upstart poets.He got enamoured of Russian literature.He gave new direction to the Gujarati gazal and nudged it towards modernity. 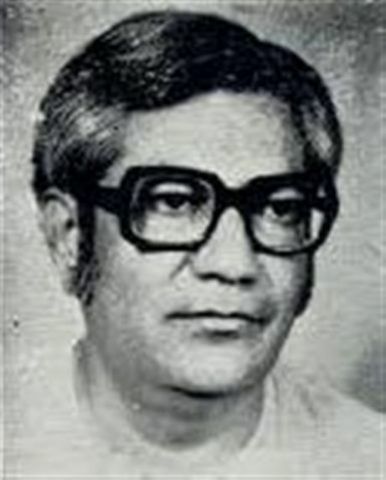 Nostalgia is a feature of several of his poems.He has published three volumes of Gujarati gazals. He also writes gazals in Urdu.Another interest of his has been writing one-act plays. He has received awards from the Gujarat Sahitya Parishad and the Gujarat Government.He is also a painter and he has exhibited in Mumbai and Ahmedabad. 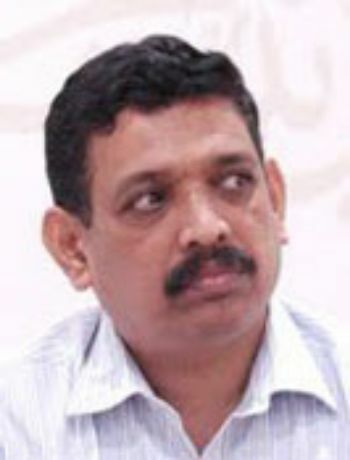 Anil Joshi was born and brought up in the town of Gondal, Rajkot district, Saurashtra. His father was a government official. Joshi studied in a college in Ahmedabad. He was a teacher for some years. At college Joshi was a cricketer, but an injury laid him low and he began to attend Sanskrit classes. 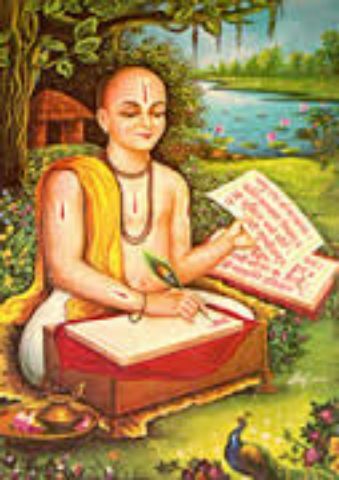 He relished the poetry of Kalidasa and other Sanskrit poets. His very first poem got acceptance in Kumar, a prestigious literary magazine. But he was advised not to publish in haste. 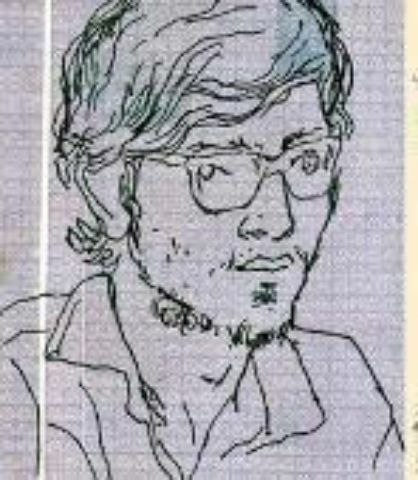 In Ahmedabad he joined Re Math, a conclave of rebellious poets. 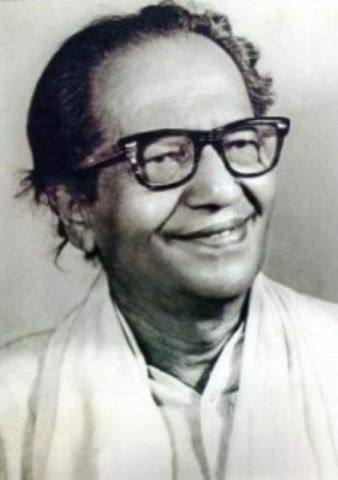 Joshi has been a pioneer in bringing modernity to the Gujarati song. His poems and songs are highly allusive, and some of them are quite strange. They also have a ring of pointlessness and despair. Fed up with bigness, he has retreated into the world of the small - ant or dewdrop, for instance. 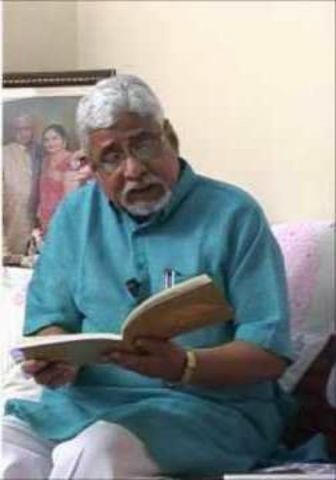 Joshi has published two volumes of poetry. 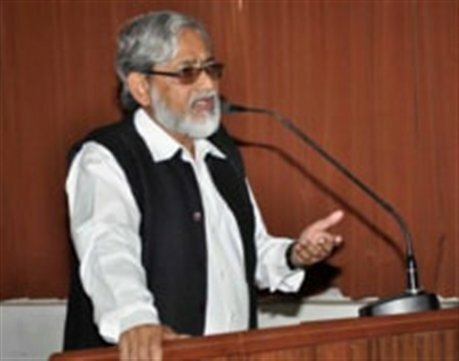 He has received an award of the Delhi Sahitya Akademi for his book of essays. 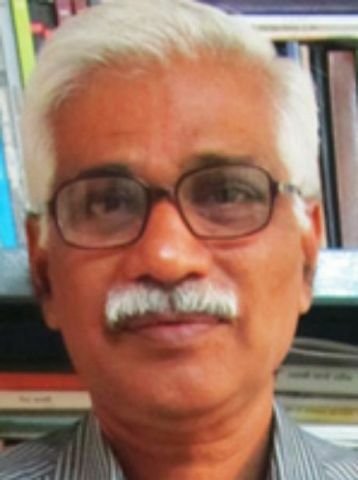 Born and brought up in Nadiad in Central Gujarat, Bakul Tripathi retired as a professor at a commerce college in Ahmedabad. 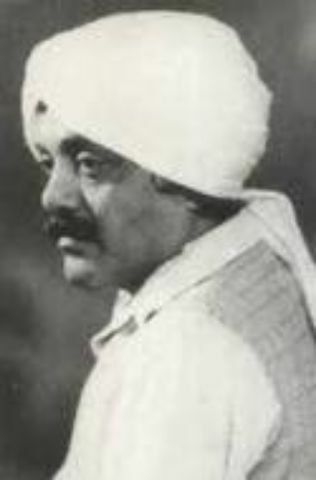 He contributed a humorous column for decades, and he built up reputation as the foremost Gujarati humourist of his day. He contributed plays, essays, compilations etc. He frequently went to the U.S., where he regaled the Gujaratis resident there with his puckish humour. 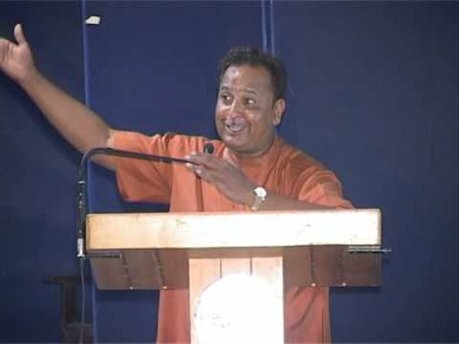 In 2006 he was elected the President of the Gujarati Sahitya Parishad. Tripathi described himself as serious, moody, gullible, and cowardly! At the same time he saw himself as constantly playful, relishing the ‘lila’ of laughter and constantly experiencing an inter-play of confusing thoughts. He also admitted to being something of a romanticist. Tripathi generated humour by comically inverting situations. Why consider only a single reality, he queried. Get hold of a ‘remote’ reality and collide it with the present ‘reality’. Balmukund Dave hailed from a Brahmin family residing in the village of Mastupura in Vadodara district. His schooling was in Mastupura and the city of Vadodara. 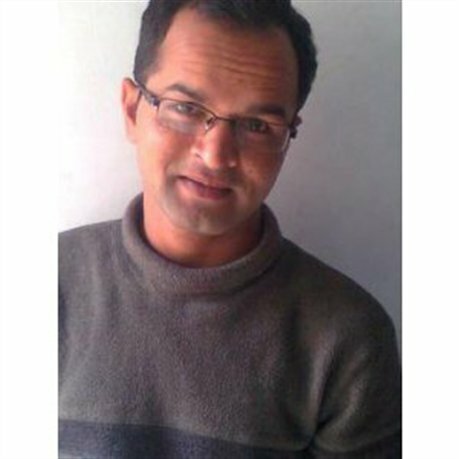 He shifted to Ahmedabad and took a job in a publishing house. He also had a stint as a journalist. Thereafter he worked in Navjivan, a Gandhian publishing house, from which he retired after some thirty years. 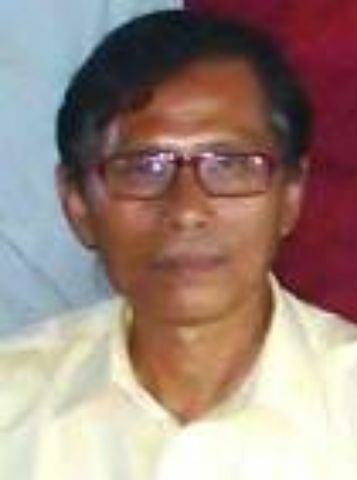 After retirement he edited a periodical published by Navjivan. Dave once suffered grave tragedies in the space of two calamitous days he lost his son and his father. Dave published poetry, children’s verse, sketches of people, and edited compendiums. Dave saw the mission of the poet being similar to that of the country exorcist who takes out the poison of a snake bite or exorcises spirits like the exorcist, the poet should eliminate poison from people and Kumar Gold Medal Recipient. 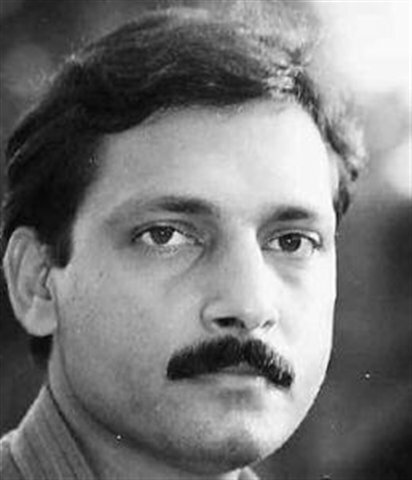 From the town of Kadi near Ahmedabad, Chinu Modi was born in the town of Vijapur in Mehsana district in North Gujarat. 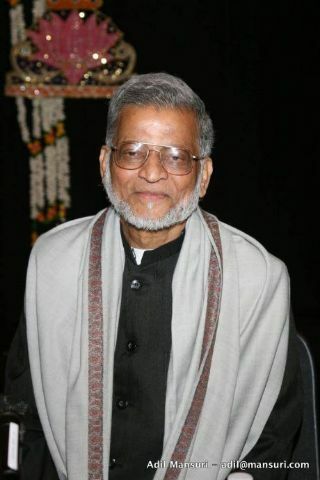 He retired as a professor in the Gujarati department of the Department of Languages, Gujarat University. Unlike many of the poets of his generation, Modi was born with a silver spoon. Modi apparently had an inferiority complex as a youngster because of his feeble physique. He seems to have taken to writing – sonnets, gazals etc. – as a way of impressing others by his literary skills. 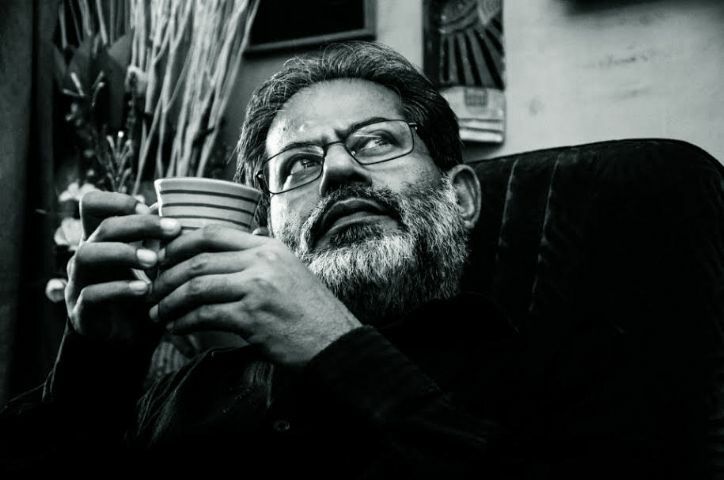 In Ahmedabad, where he moved for higher studies, he joined ‘Re Math’, a gathering of upstart poets, and this seems to have provided new directions to his poetry. Modi has nurtured a number of young poets. 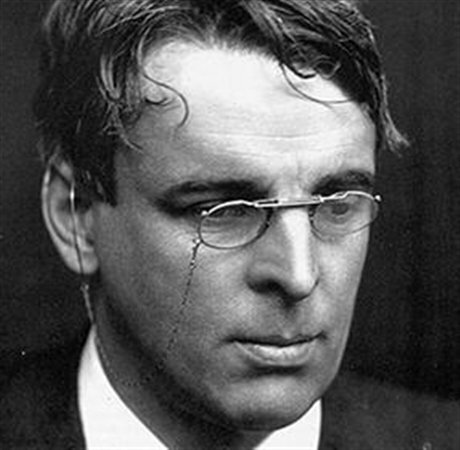 He has published several volumes of poetry, plays, novels, short stories, literary criticism, and compendiums. 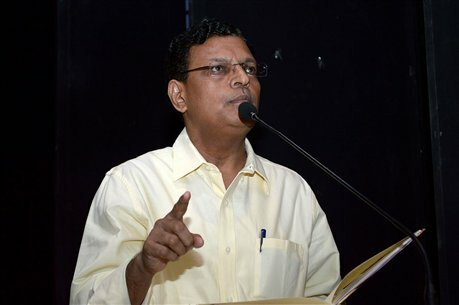 He has won several awards, including that of Gujarat Sahitya Parishad. He is a leading member of a conclave of poets that meets every Saturday. Born in Wadhwan town of Surendranagar district of North Gujarat, Dalpatram had a rudimentary education in the village school. Tried to study the Vedas from his father but gave up the attempt due to to the father’s hot temper.At14 he embraced the Swaminarayan sect.He learnt traditional poetics and writing in Vraja Bhasha from Devanand Swami. He went to Ahmedabad for the advanced study of Sanskrit.In Ahmedabad he came into contact with an English judge, Alexander Forbes, and became Forbes’ teacher of Gujarati language and literature. 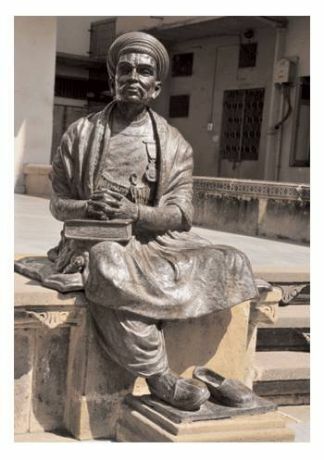 He roamed with Forbes all over Gujarat to collect literary materials, and assisted Forbes in his educational and awareness initiatives.. Later he joined Gujarat Vernacular Society. 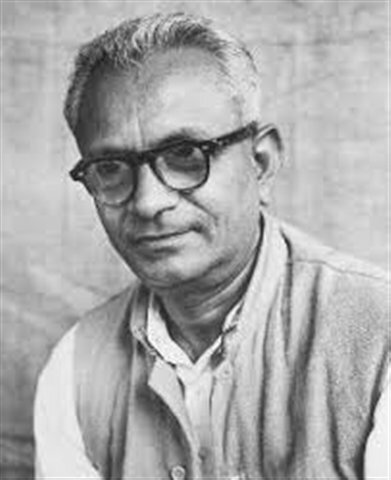 He also edited a periodical called Buddhiprakash.Dalpatram was a prolific writer of poems, essays, and plays. Several of his poems are still recited for their grace and wit. 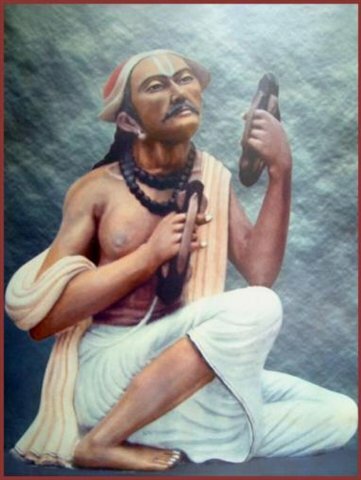 He was called ‘chatur kavi’ (clever poet) because of his penchant for writing poems with a clever twist. Born and brought up in the town of Viramgam, Ahmedabad district in North Gujarat, Dhiru Parikh settled in Ahmedabad. 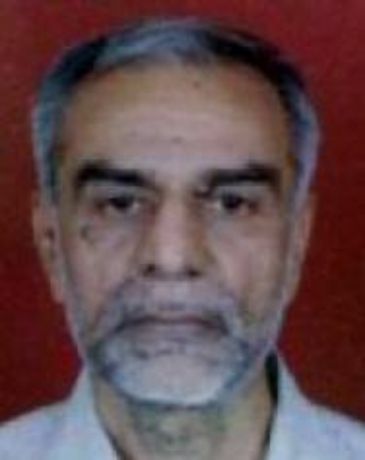 He taught at a college in Ahmedabad, and then was associated with S.N.D.T. Women’s University. 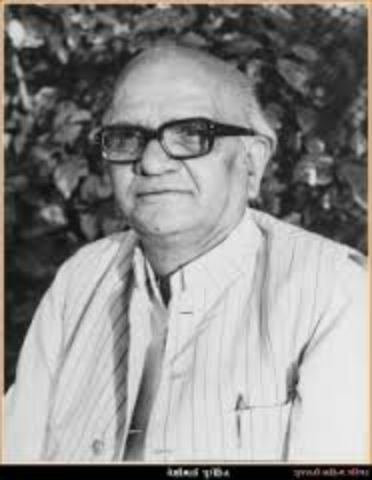 Later he was a professor in the Languages Department of Gujarat University, from where he retired as Head of Department – Gujarati section. 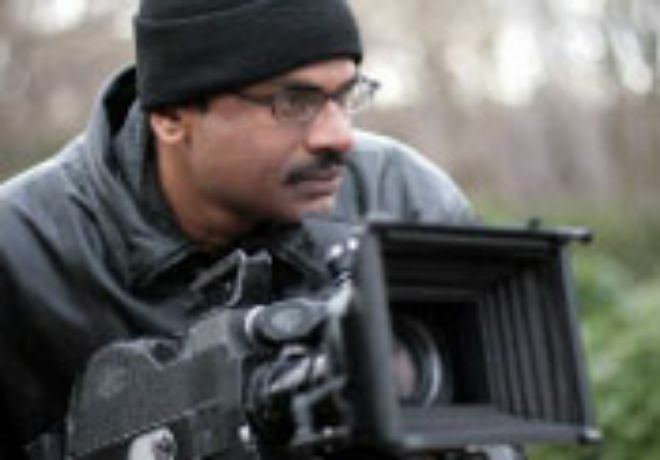 He has been the Editor of ‘Kavilok’ and currently he edits ‘Kumar’. 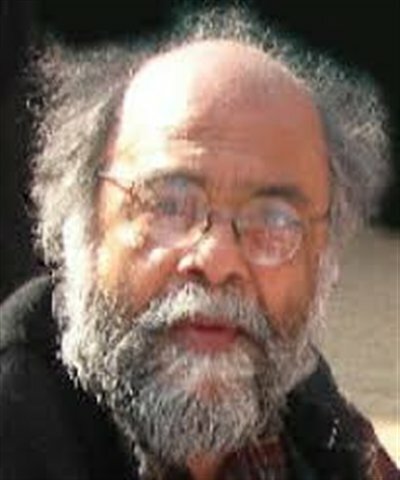 Parikh has published several volumes of poetry, translation, short stories, literary criticism, and edited compilations. 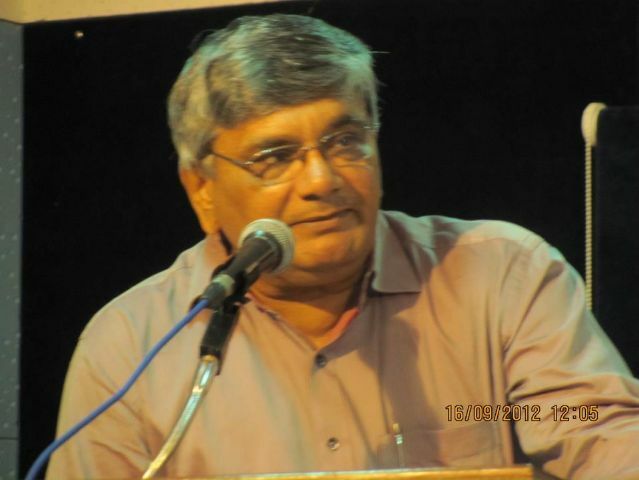 He has also written a volume introducing such Western poets as Auden, Neruda, and Yevtushenko to Gujarati readers, and others in which he has written sketches of Gujarati poets who have passed away and also those that are still living.Every Wednesday he conducts ‘Budh Sabha’, a colloquium for young poets. He has been the recepient of Kumar Gold Medal. 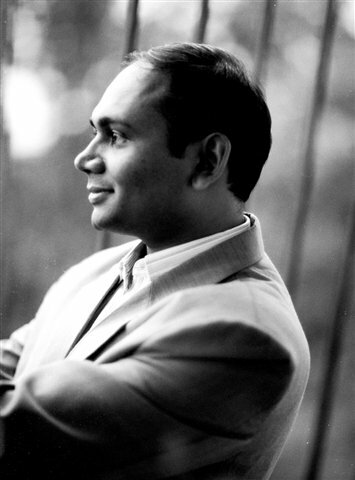 Dileep Jhaveri was born in Mumbai and was brought up in Mumbai and Pune. He is a medical practitioner, and defines his profession as that of keeping healthy all those that come to his clinic – the rich as well as the poor. Initially he was a medical official with the Government of Maharashtra, but later he established his own medical practice. 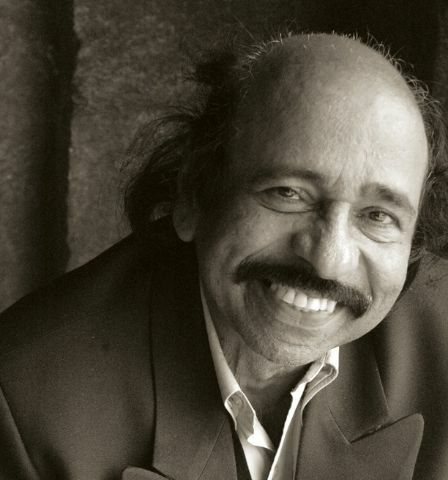 Jhaveri started writing poems in childhood. He had a passion then of displaying something distinctive and personal. He began to publish poetry early in his youth. However, he soon realized that poetry mattered little in the contemporary world. But he continued to write. After all, as he puts it, is there any reason to continue writing poetry other than of being able to converse with grass, trees, birds, fish, deer, stones, clouds, mountains, rivers, living – colliding – joyous – bothered – dying multitudes, people mingling with dust, these constellations, these galaxies? 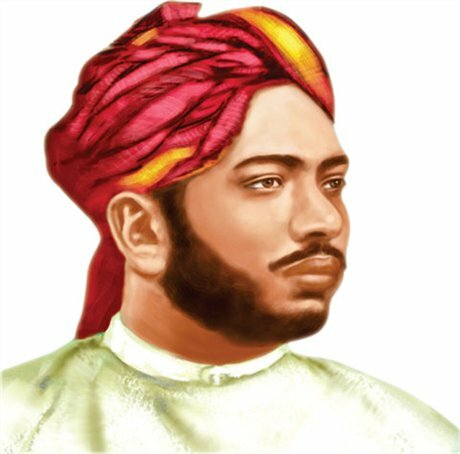 Gani Dahiwala was born and brought up in Surat in a Muslim family of carders of cotton. He worked as a tailor in Surat. 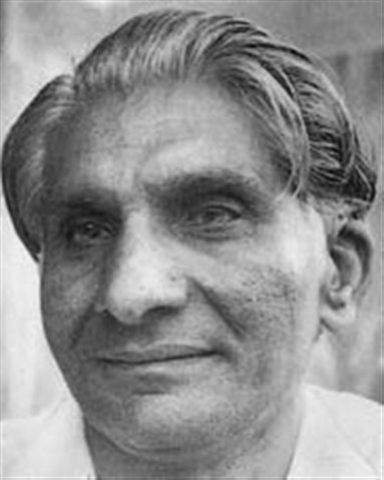 He founded Swar Sangam, a music group, in Surat, and was a founder of an association of writers of gazals. 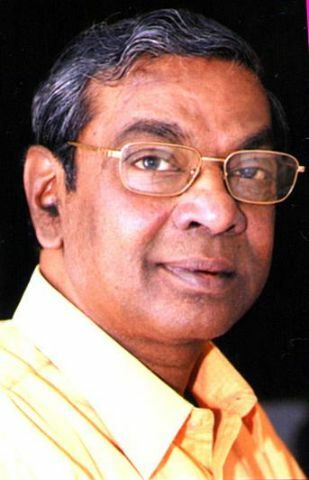 He was a columnist with Gujarat Mitra, a Surat newspaper. He was a melodious singer, especially of ‘kasida’ and ‘hamd’, Muslim songs of praise and devotion, and also sang ‘thumri’, a semi-classical form. Influenced by Gandhi, he wore khadi (hand-spun) clothes. 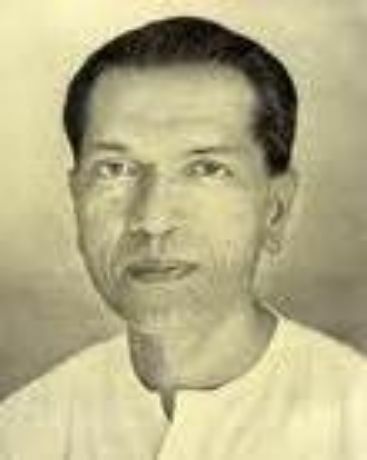 Dahiwala began his debut as a poet in a ‘mushaira’ (conclave of ‘shayar’s) in 1940 in Surat. He was very popular because of his singing prowess and his heart-felt sensibility. In his poems he freely used both Islamic and Hindu images, icons and symbols. He wrote several volumes of songs and gazals. He also wrote a play, and a dance drama. 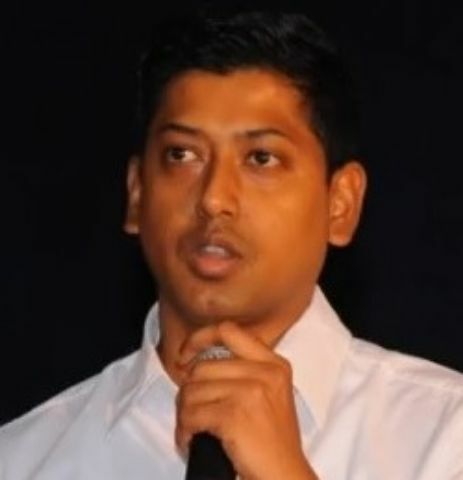 Harindra Dave hailed from Bhavnagar, although he was born in Khambra in Kutch. 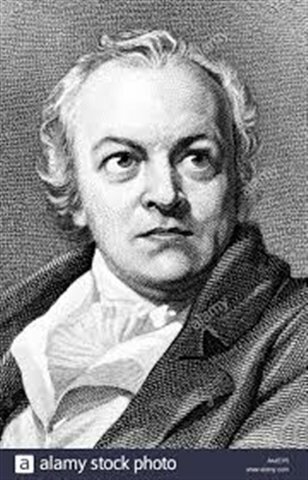 He published several volumes of poetry, novel, and literary criticism, and also a play. 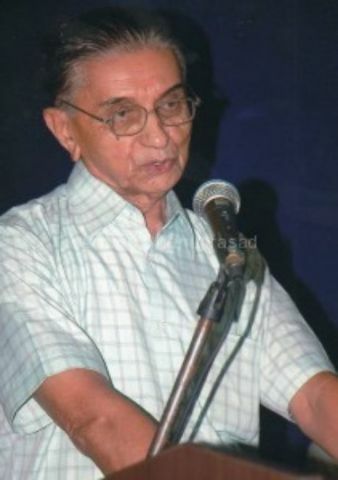 He served as Editor of prominent Gujarati papers and periodicals of Mumbai. Early in his poetic career, Dave went through a humbling experience. He was then riding high, and presented ten of his poems to Bhruguray Anjariya, a noted critic, for comments. The latter opined that they lacked originality. This stunned Dave and may have altered his poetic persona. A second climactic experience was an illness that brought him face to face with death. It seems to have rejuvenated his poetryDave published several novels and volumes of poetry. One of his collections of poems got an award of the Sahitya Akademi, Delhi. 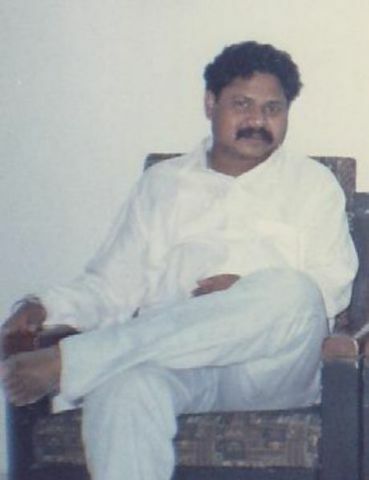 Harish Minashru was born and brought up in Anand in Central Gujarat, the milk capital of India. He studied science. He worked in Bank of Baroda, from where he took an early retirement. Minashru started writing at age 6, when his first poem was posted on the school’s board. In his final year in B.Sc., a friend brought some poetry magazines, and he sent one of his poems to a periodical for publication. To his delight it got accepted. He started writing seriously around 21. He has authored four volumes of poetry and edited several compilations. 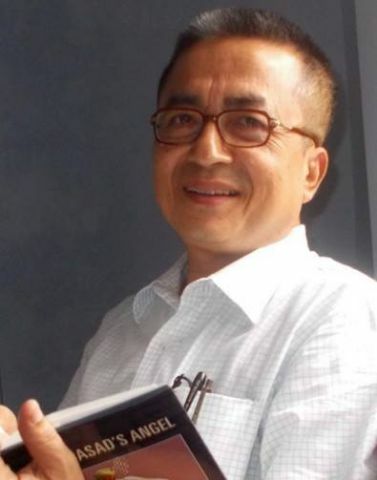 He has also translated the poems of the 7th century Chineses poet Wang Wei into Gujarati. He recited in Britain in 2002 and in the U.S. and Canada in 2003. Some of his poems have been translated into English and Indian languages. 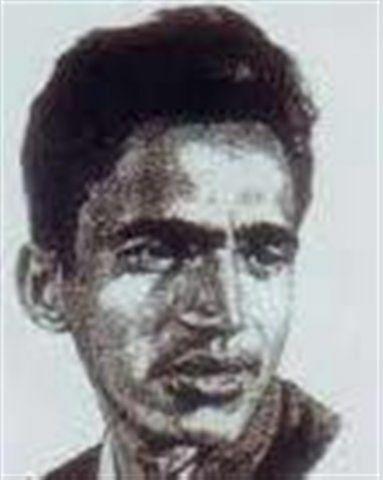 Harsh Brahmabhatt was born in the town of Mehsana in North Gujarat.Brahmabhatt studied in Ahmedabad. After his studies in science, he joined Physical Research Laboratories. 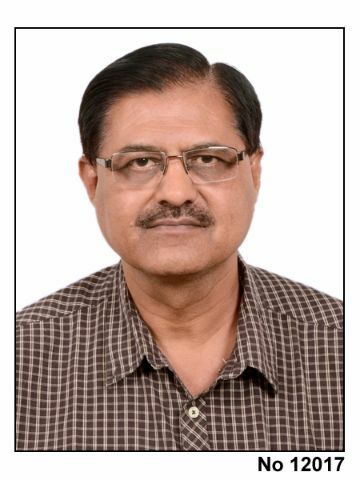 After a year there, he joined the General Administration Department of the Government of Gujarat, where currently he is Joint Secretary. Brahmabhatt was not born in a family with a taste for literature. 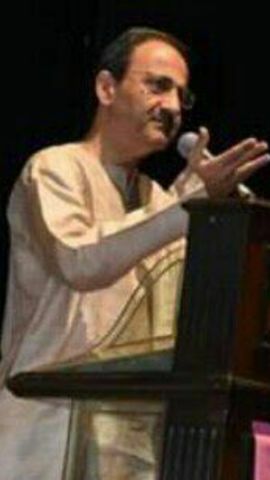 In college he came into contact with Professor Rasbehari Desai, singer and composer, who stimulated his interest in poetry.A stronger influence was the poet Yogesh Joshi, whose poetry’s simplicity, depth, and quality struck a chord in Brahmabhatt. Another influence was the Muslim families that were his neighbors. He learnt Urdu from them, as also from the film songs composed by major Urdu poets, and developed a taste for the tongue’s expressive capacity that culminated in two volumes of gazals in Urdu (Bhatt does not know the Urdu script, so he uses the Devnagari script). 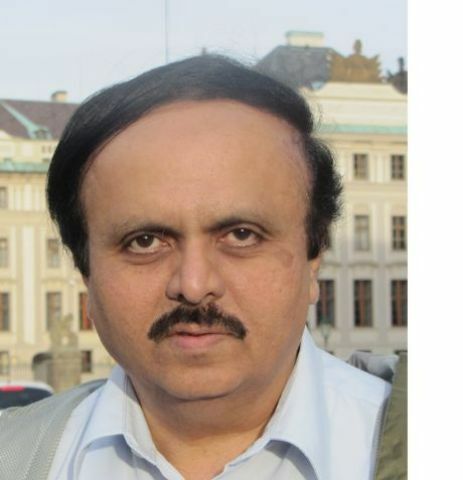 Harshad Trivedi was born and brought up in Kherali, Surendranagar district of North Gujarat. 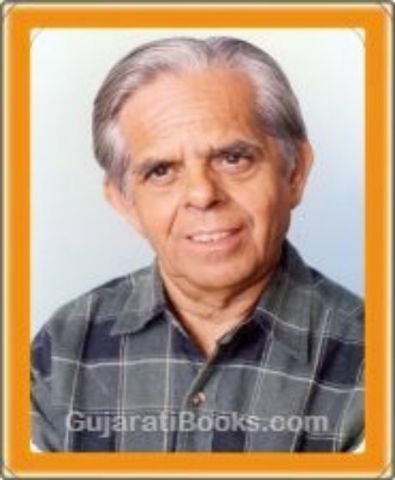 He started his career with Gujarati Sahitya Parishad, Ahmedabad, and later joined Gujarat Sahitya Academy, Gandhinagar (Gujarat’s capital), a Government of Gujarat body. He was the Editor of Shabdashrusti, brought out by Gujarat Sahitya Academy. Earlier he edited Udgar and Sankraman. From childhood, Trivedi had an eye for detail. His father was a poet, and so Harshad was exposed to many literary personalities of the time, and heard their recitations. Thus he learnt rhyme and meter without special effort. 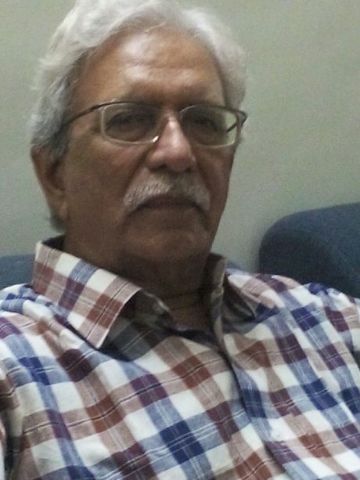 Harshad’s publications include three volumes of poetry, two volumes of children’s stories, a volume of short stories, a volume of literary criticism, and several edited compilations. He has been the recipient of Jayant Pathak award. 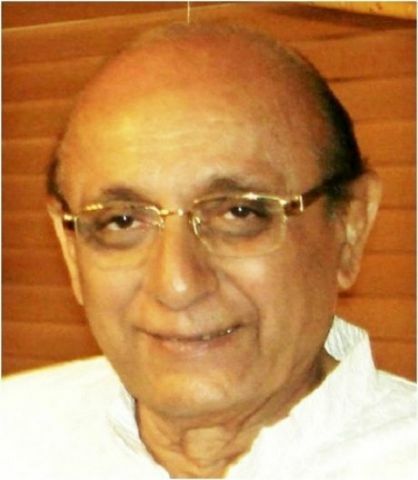 Hasmukh Pathak was born the town of Palitana in Bhavnagar district of Saurashtra, his native place being Bholad. 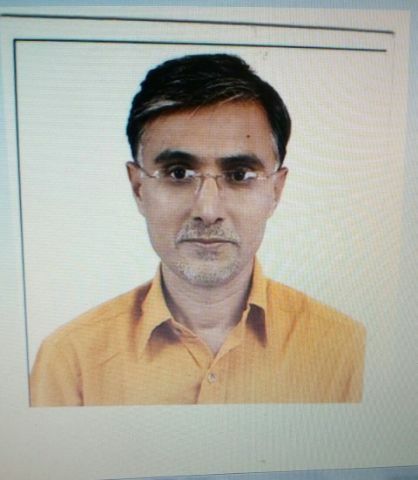 He settled in Ahmedabad and retired as a librarian. Pathak hailed from a religious Brahmin family that migrated to Ahmedabad from Bholad. The father was an engineer in a textile mill. 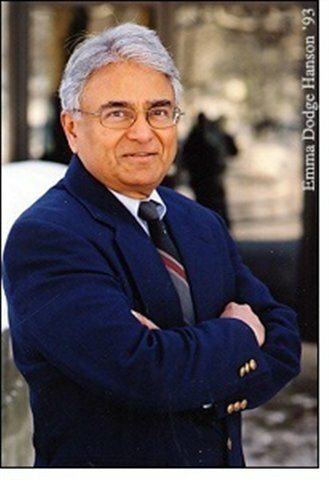 In the mid-1950s Pathak went to study in Delhi, where he specialized in library science. Pathak had a strong spiritual orientation. 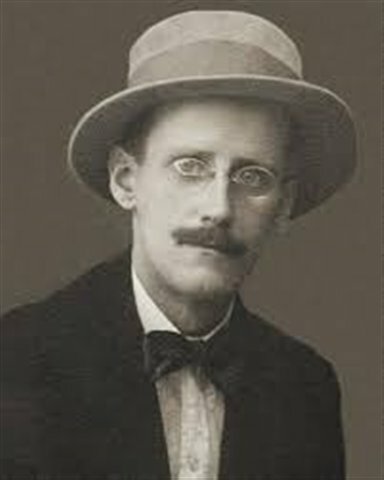 Pathak always remembered the statement of James Joyce that poetry is forged in the smithy of the soul. He published several volumes of poetry and translated the Czech poet Miroslav Holub. He received Mahakavi Nanalal Award. 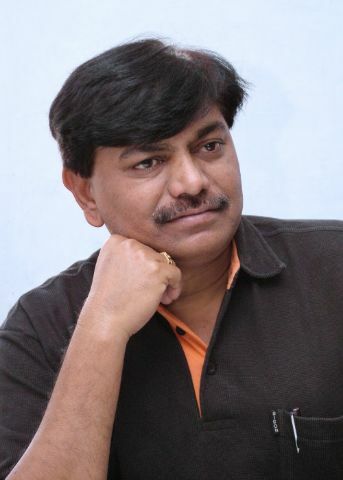 Jagdish Joshi was born and brought up in Mumbai. After higher education in the U.S. at Stanford University, he joined as a teacher and administrator in a school run in Mumbai by his father. 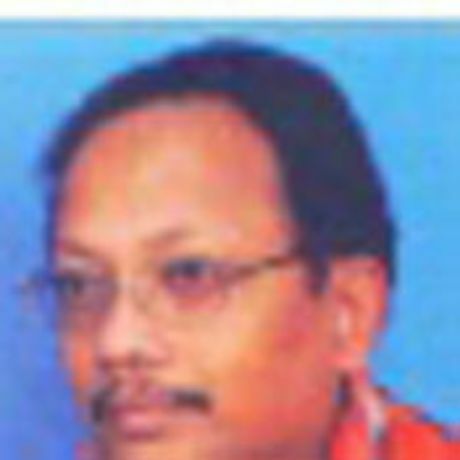 He was active in the field of school education, and served in a variety of capacities in teachers’ and school associations in Mumbai. 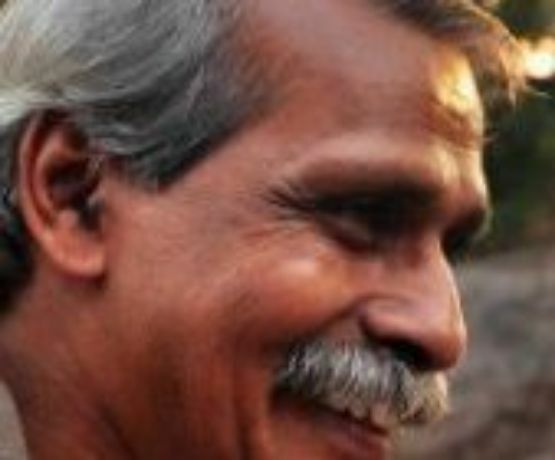 Joshi was a member of a group of Mumbai poets who interacted closely. The group included Suresh Dalal and Harindra Dave. 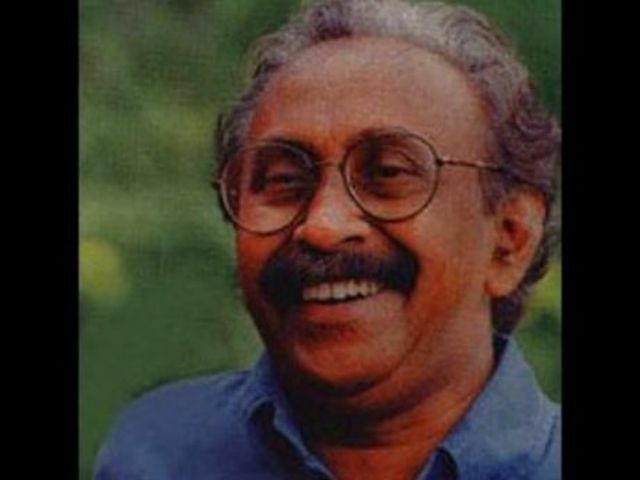 Joshi became well-known for the songs he wrote and for his fresh images. There was a mournful vein in his poetry. He published several stories and translated works in Marathi into Gujarati. He also translated Octavio Paz’s poem ‘Sundial’ into Gujarati. He received Uma-Sneharashmi Award, and posthumously, an award of Delhi’s Sahitya Akademi. Two volumes of his poems have been published. 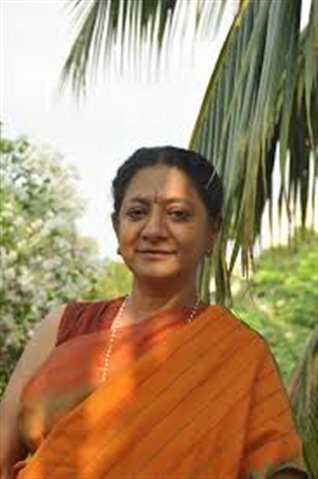 Born and brought up in Koliyak, Bhavnagar district of Saurashtra, Jaya Mehta began her career as a teacher, and retired as a professor at the S.N.D.T. Women’s College, Mumbai. 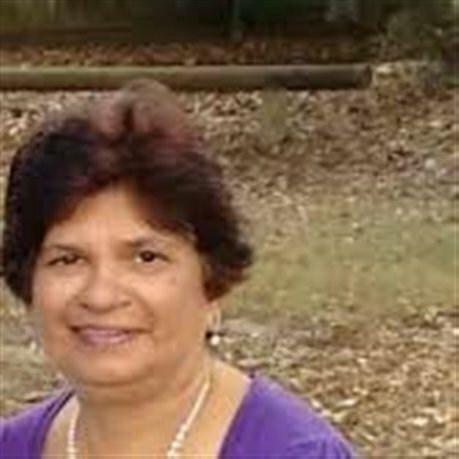 She has won several awards as a teacher. 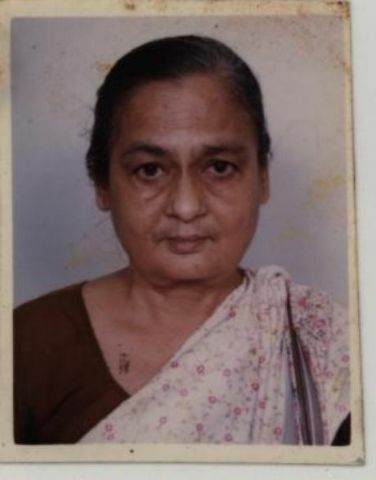 Her Ph.D. was on humour in Gujarati poetry and drama. 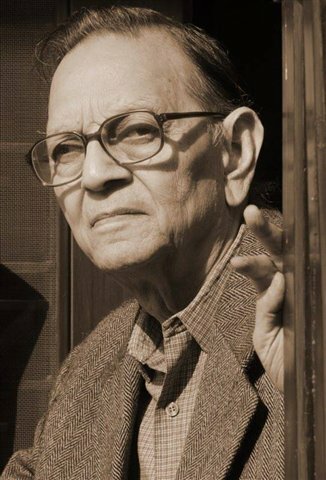 Mehta has been a co-editor of ‘Sudha’ and ‘Vivechan’, two periodicals in Gujarati. 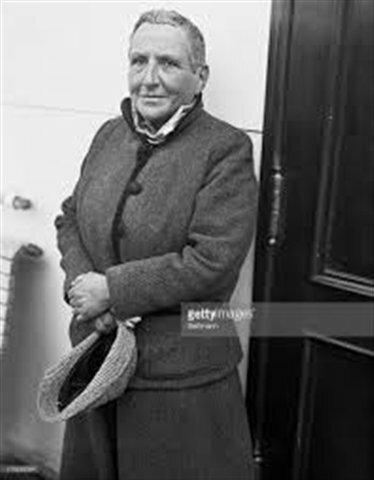 She has published several volumes of poetry, translation, literary criticism, research, and compendiums. 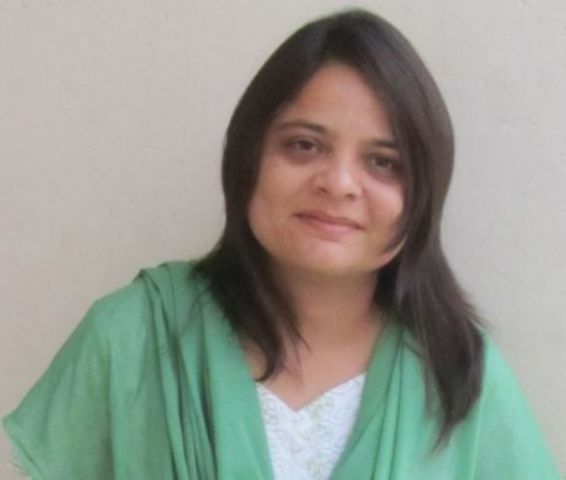 She has won an award from the Gujarat Sahitya Academy, and also from the Delhi Akademi. 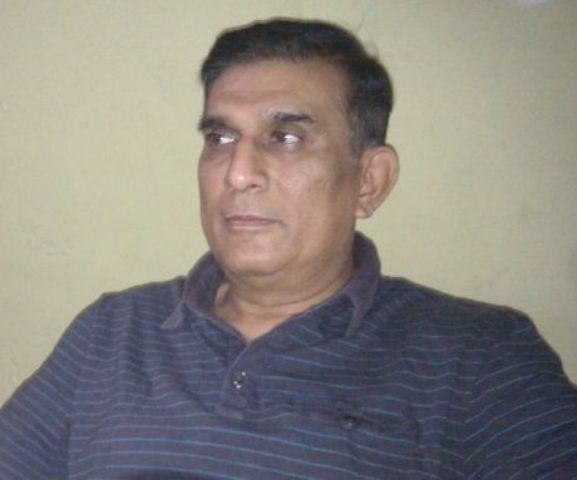 Jayant Pathak was born and brought up in the township of Rajghad in Panchmahal district of East Gujarat. This district is forested and many tribals live there. 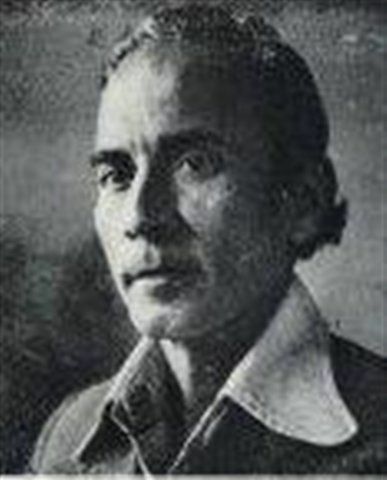 Its ambience strongly influenced Pathak’s poetry. 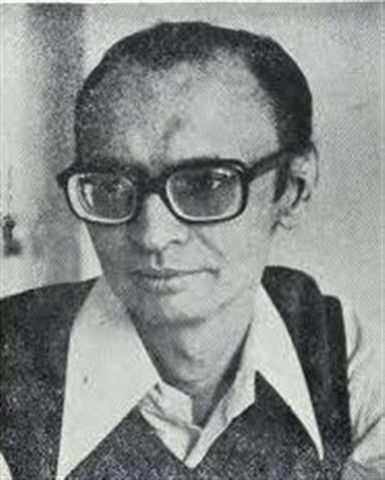 As a youngster, Pathak was blessed with literary relatives, including particularly, cousin ‘Ushanas’, later another literary luminary. 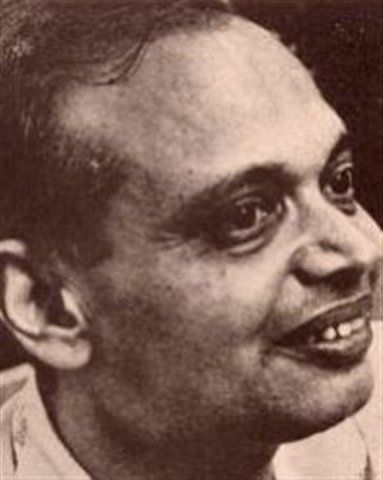 Teacher Pranshankar Bhatt was another influence. He began to write in Gujarati as well as English rhyme. 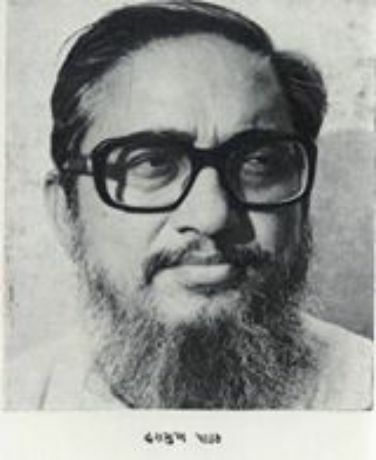 He served as President of Sahitya Parishad and of Narmad Sahitya Sabha. He published several volumes of poetry, translations, literary criticism, edited compilations, etc. Among his many awards were the Kumar, Narmad, Ranjitram, and Dhanji Kanji Gold Medals. He also received an award of the Delhi Sahitya Akademi. ‘Kalapi’ was born a prince in the small principality of Lathi in Saurashtra. 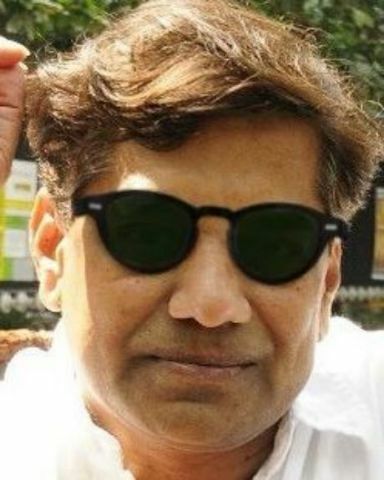 A school dropout because of vision problems, domestic squabbles and political clashes, he nonetheless employed private tutors to study English, Sanskrit, Urdu, and Persian. He became the king at 21 because his father and elder brother passed away. He married thrice, the last with a ‘dasi’ (maid) of one of his queens. This created so much turmoil that he decided to abdicate. He died at 26 under mysterious circumstances, possibly from poisoning. 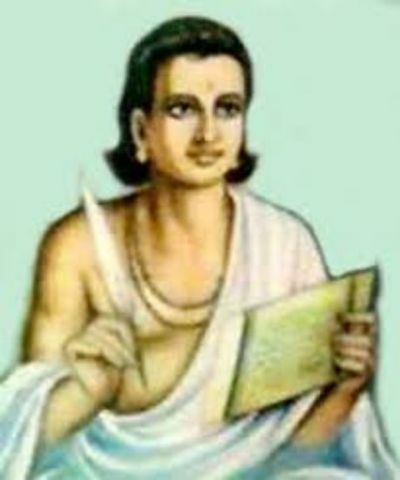 Kalapi read widely, including the works of the Romantic English poets, and interacted with a number of prominent Gujarati poets such as Nanalal, Kant, and Govardhanram. He was also influenced by Plato and Swedenborg. Some of his most sensitive poems were written during the years of intense emotional turmoil due to his love affair with his wife’s maid. Beside writing lyrics, Kalapi also translated a couple of novels of James Spading. 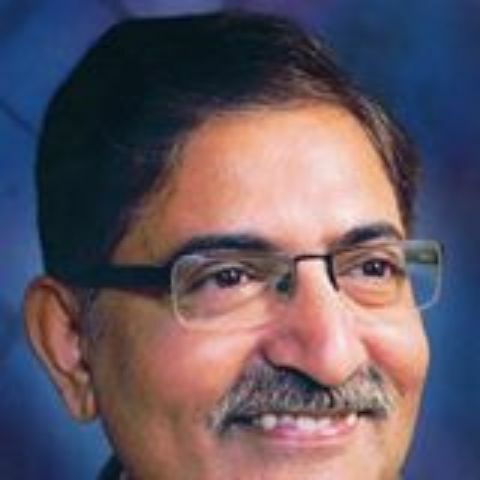 Kamal Vora hails from Mumbai. He was born in Rajkot. He is engaged in the family business of ditribution of pharmaceutical products. 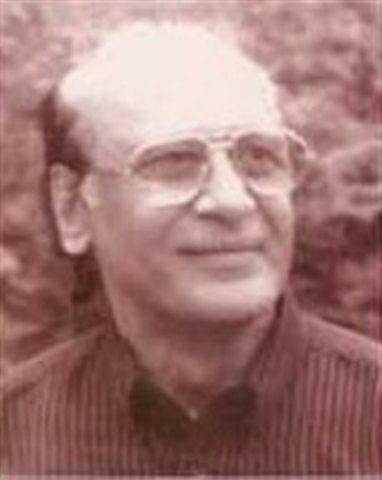 Vora started publishing poems in his early twenties. 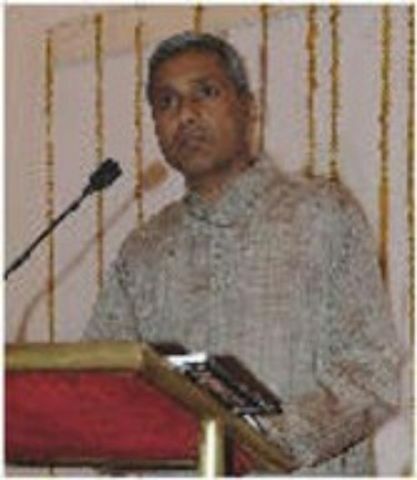 He has published a volume of poetry, which received Umashankar Joshi award. 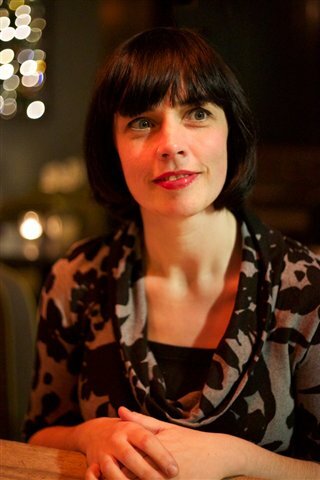 A second collection is due for publication. 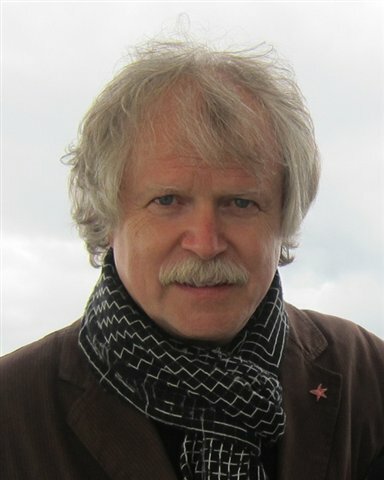 Some of his poems have been translated into English and published, including in Chicago Review. Many of his poems have a philosophical enquiry at their core. But he insists that his priority is poetry, not philosophy. 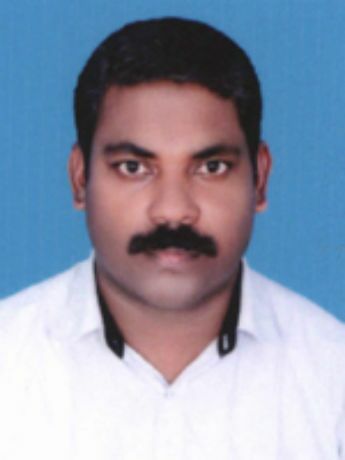 Khalil Dhantejavi was born in Dhantej village of Vadodara district of Central Gujarat in a family of farmers. His schooling did not proceed far since the school in his village was only upto the 4th standard. He was advised to go to a city to nurture his interest in literature. 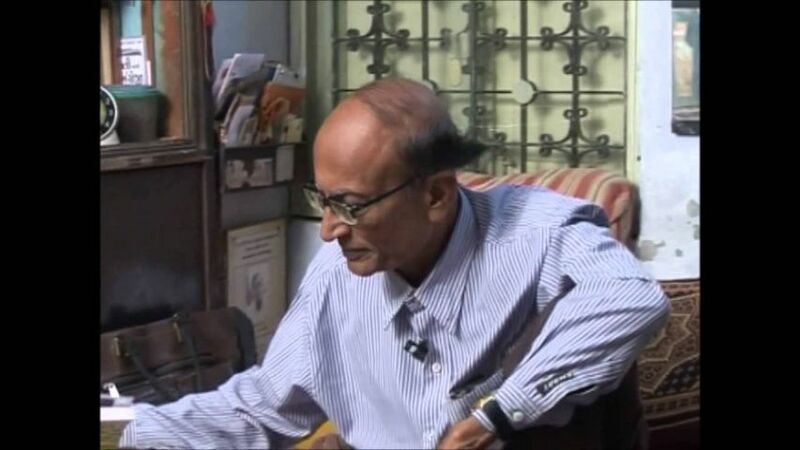 For the past 40 years he has been living in Vadodara. 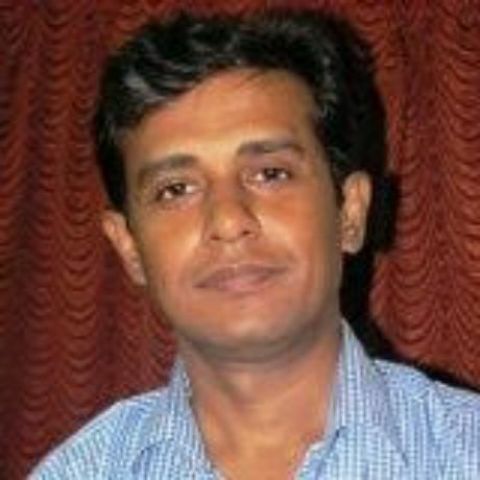 He is a journalist by profession, joining a newspaper as a reporter and gradually rising to the position of an editor. At 21 Dhantejavi felt the urge to write. He was encouraged by the teachers of a nearby village. 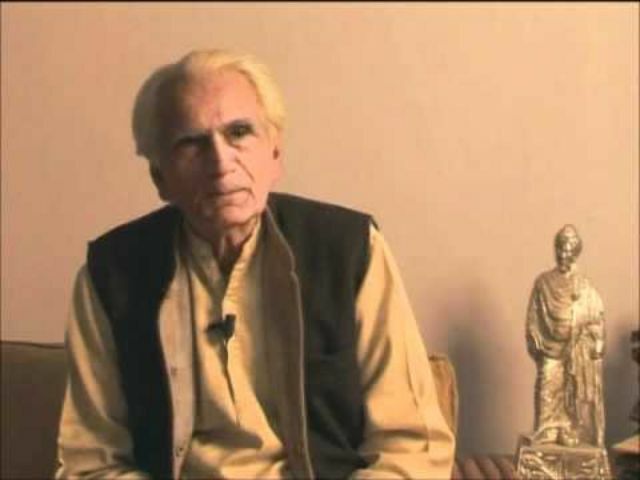 He has been writing gazals in Gujarati as well as in Urdu. 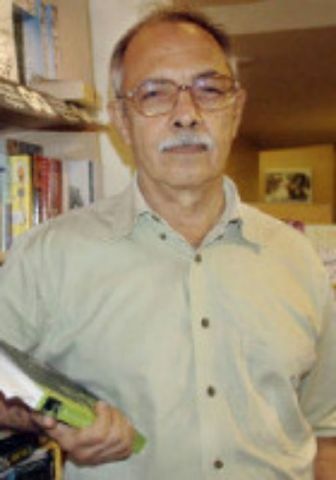 He is a prolific writer of fiction, having written 26 novels. He has been writing short stories. 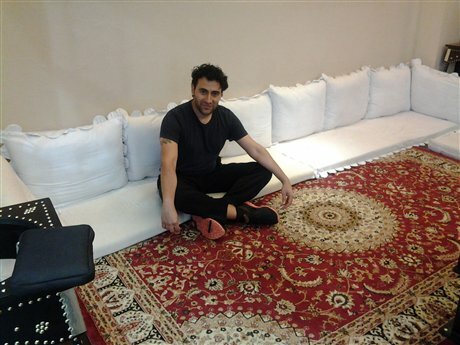 He has also been acting in and directing plays and films. As a writer of gazals, Dhantejavi bridges the generation gap between such venerable writers as Mareez, Shunya Palanpuri, and Barkat Virani, and the young writers of today. 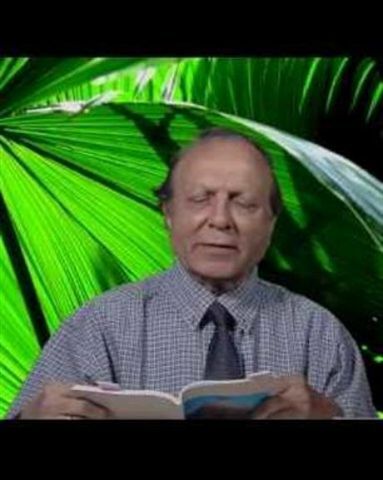 Dhantejavi has published a volume of gazals. Krushna Dave was born and brought up in Dhari, Amreli district of Saurashtra. Dave lives in Ahmedabad. 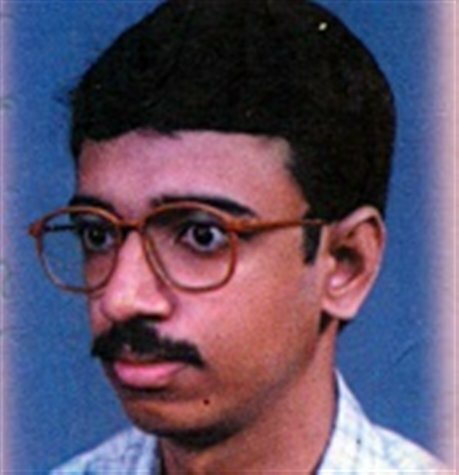 Initially, he could study only up to the 7th standard, although later he could get a B.A. as an ‘external’ student in Ahmedabad. 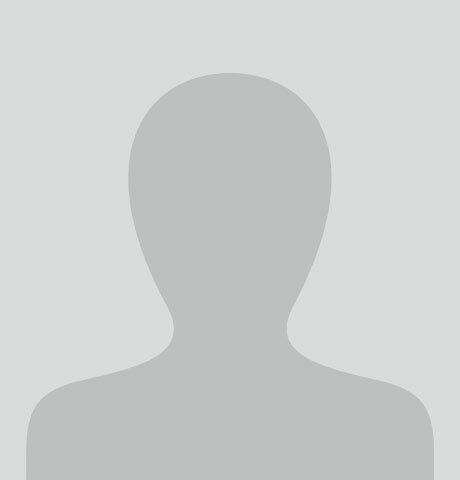 Dave works in the Reserve Bank of India. He is also a master carpenter. In Ahmedabad Dave began to frequent Budha Sabha, a meet of poets every Wednesday. That got him to start writing. He has published books on songs of children. He coordinates a Gujarati literary programme called Kavyadhara. 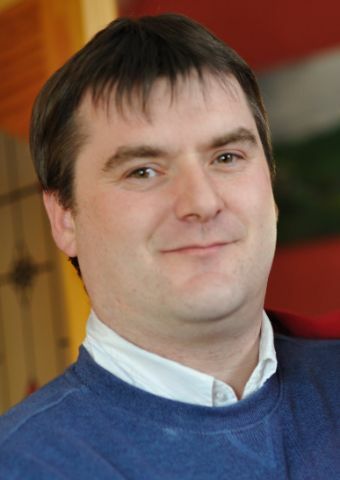 He has published a volume of poetry, and also of children’s literature. Mafat Oza was born in the village of Jamla in the Mehsana district of North Gujarat. He lost his father at 6, and the mother worked as a drinking water dispenser to put the boy through school. He studied initially in a school in the township of Soja. There he ran a store of snacks to get him through school, and during the vacations he worked as a labourer. He got a B.A. in Hindi and Gujarati, an M.A. in Gujarati and Sanskrit, and then he went on to do a Ph.D. at Gujarat University in Ahmedabad on post-Independence Gujarati poetry. 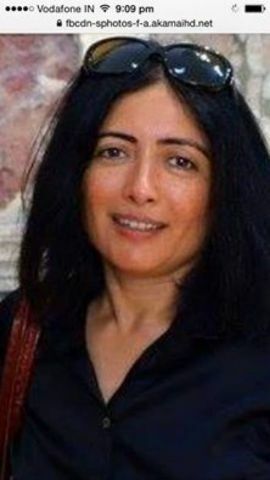 After some years as a school teacher and college instructor, Mafat Oza became a professor at M.S. University, Vadodara, and later in the Department of Languages at Gujarat University. Oza started writing poems in school. Oza published a number of volumes of poetry, novel, short story, literary criticism, etc. 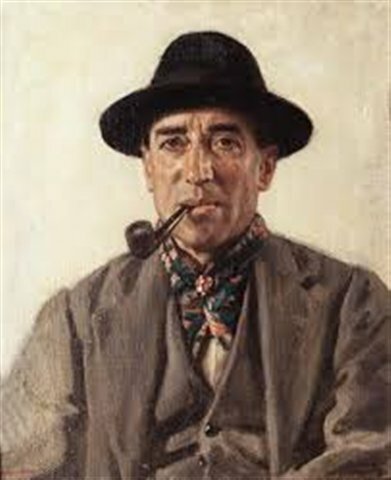 He won several literary awards for novel, short stories, play, essay, and other literary works. Makarand Dave was born and brought up in Gondal, Saurashtra. Early in life he came under the influence of a spiritual mentor named Nathalal Joshi. 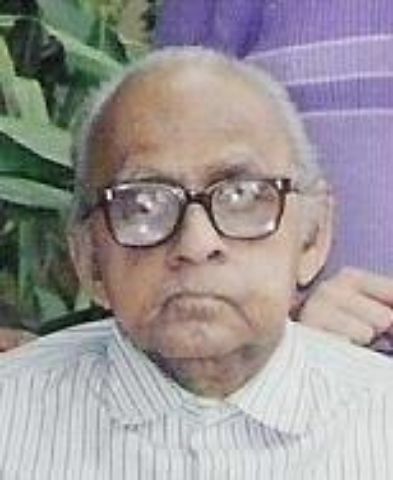 He lived for many years until his death at Nandigram in South Gujarat where he and his author wife Kundanika Kapadia ran a voluntary social service organization called Nandigram. Dave’s spiritual experiences changed the course of his life and of his poetry. He read with great interest the poetry of St. John of the Cross. He claimed to develop the sight of the seer in which luminous, inspired words present themselves to one’s inner eye without a conscious effort. Dave went through phases in which poetic writing ceased, and then emerged in a different genre – such as children’s songs. Increasingly he became an observer – of nature, man, and all creatures. He published several volumes of poetry and of reflections. He also wrote a novel and published an edited compilation. He was a recepient of the Ranjitram and the Arvind Gold Medals. 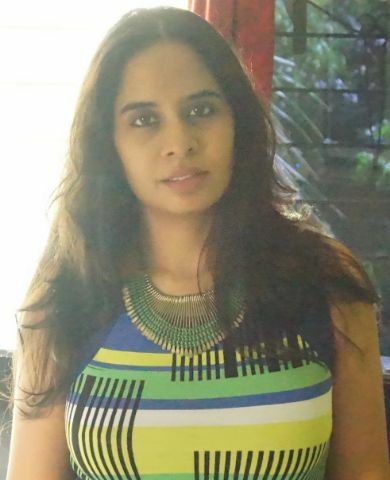 Manisha Joshi was brought up in Kutch and later moved to Vadodara to study literature at M.S. University. She has been working in the media. At present she is working with ‘Garavi Gujarat’, a magazine published from London. 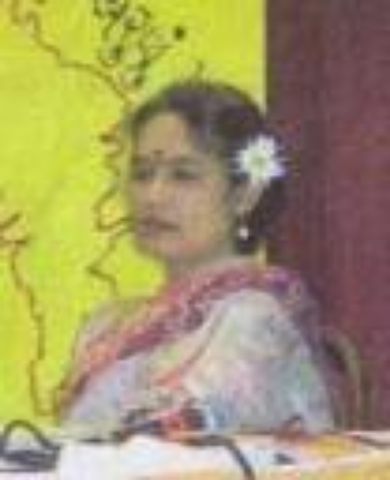 Manisha has published two volumes of poetry. One of them is dedicated to pots and pans! 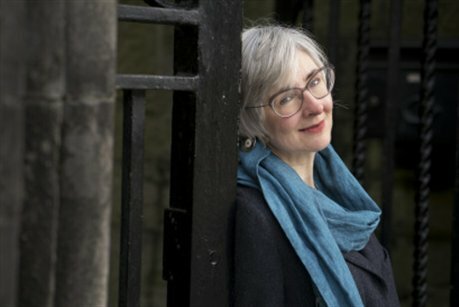 She began writing poetry at about 18. This was romantic poetry which she soon tore up as she waded into world literature. We live, she says, amidst contradictions and chaos, and poetry for her is an escape from this chaos of life. She often expresses in her poems violence, lust, and cruelty. After expressing violence there is, she confides, peace, and the human and the animal consciousnesses fuse. Manoj Khanderia was born and brought up in Junagadh, an ancient town of Saurashtra. His college education was in zoology and chemistry, but he also studied law and went on to practice law and teach law. Khanderia was a major force in re-shaping gazal from its emotional and romantic roots to more serious concerns and fresh images, symbols, style of writing, and content. As a modernist, he was influenced by Suresh Joshi. 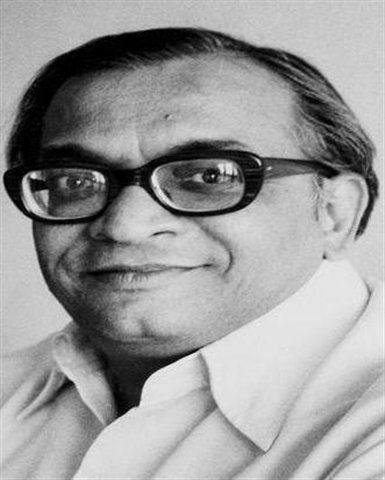 He was a member of Re Math, a conclave of rebellious poets that included Labhshankar Thakar, Adil Mansuri, Chinu Modi, Rajendra Shukla, Manhar Modi, and Indu Puwar. He published several books of poetry. From the town of Wadhwan in Surendranagar district of North Gujarat, Nalin Raval was born in Ahmedabad. 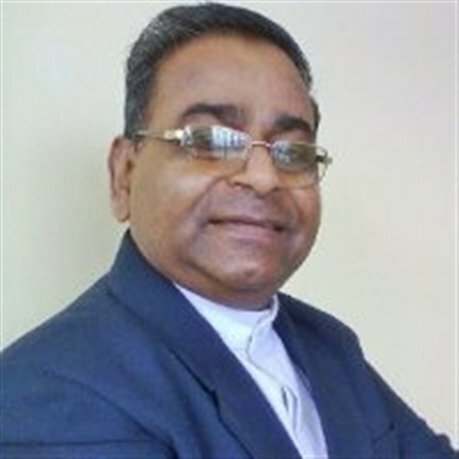 He retired as a faculty at B.D. College, Ahmedabad. Raval is fascinated by the upsurges of emotion he observes with his inner eye – Wordsworth’s line ‘A presence that disturbs me with the joy of elevated thoughts: a sense sublime’ is his favourite. He believes that the only remedy for man’s agony caused by triviality is poetry, and that poetry is the gateway to human development and inner tranquility. He has published several volumes of poetry, literary criticism, and a translation of Shakespeare’s ‘Tempest’. He has also published a volume of short stories. 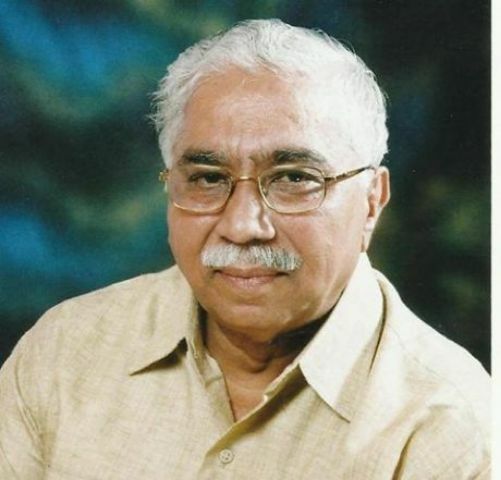 He has won the Ushanas Award and other awards, including of Gujarat Sahitya Parishad. 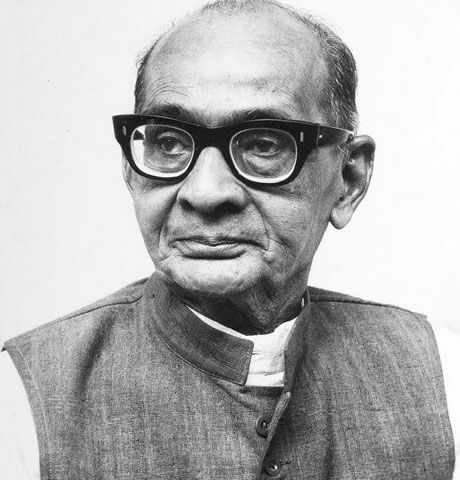 Narsinh Mehta is believed to have been born in Talaja, near the town of Bhavnagar in Saurashtra. But most of his life he spent in Junagadh, also in Saurashtra, a town perched on the ‘holy’ mount Girnar. 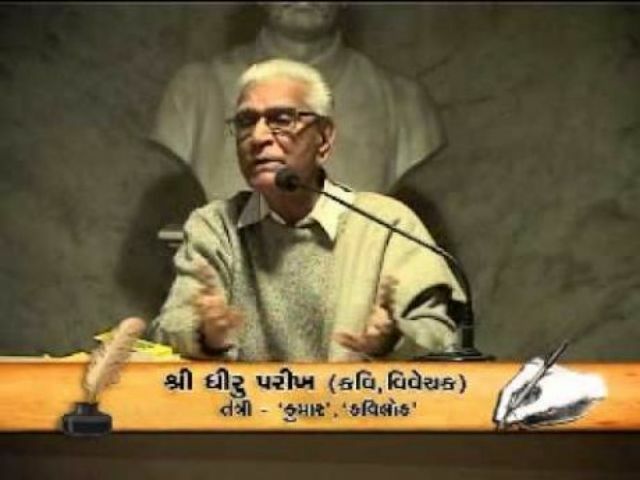 Mehta has been eulogized as the foremost pioneer of Gujarati poetry. He is believed to have authored over a thousand poems. 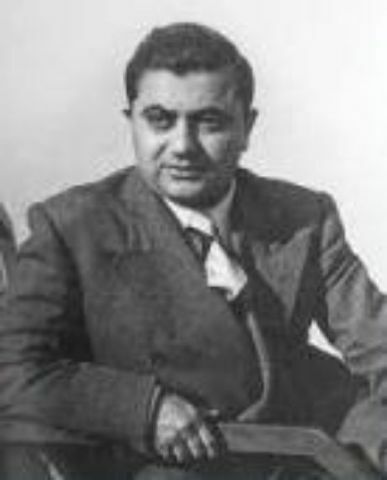 There is, however, some controversy on whether Mehta authored all the poems attributed to him. He was a poet of wisdom, wit, vision, and devotion to God. He represents a crest of the ‘bhakti’ (devotion and love for God) movement that swept through India in medieval times whose effect was to loosen Hindu – Muslim and inter-caste antagonisms. 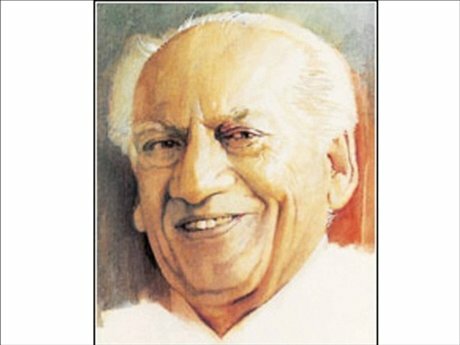 Mehta was one of the few who could go to sing devotional songs in the settlements of ‘untouchables’. For this he suffered from ostracism at the hands of the orthodox members of his caste. 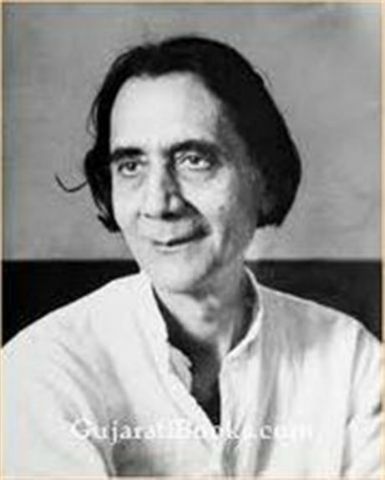 Mehta has been one of the most autobiographical of Gujarat’s poets. 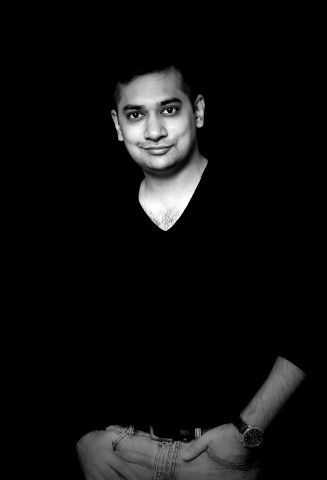 Born in a tanner’s family (low caste in the Hindu hiercarchy) in Bhuvaldi village of Ahmedabad distict, Nirav Patel spent around 20 years in a chawl in an industrial area of Ahmedabad. There he interacted with leftists, dalits (‘the oppressed’), and Muslim workers. After getting a post-graduate degree, he joined a bank in which he is an executive. 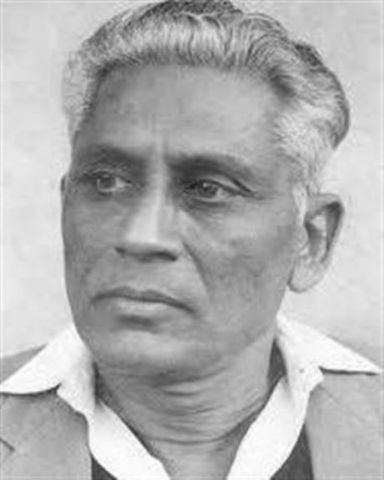 Patel has been described as a rebellious poet. He has used his pen to excoriate Indian society, especially the upper caste Hindu establishment. He has presented papers at various conferences in India and traveled abroad for attending conferences. Some of his works have been translated in various Indian languages and in English. 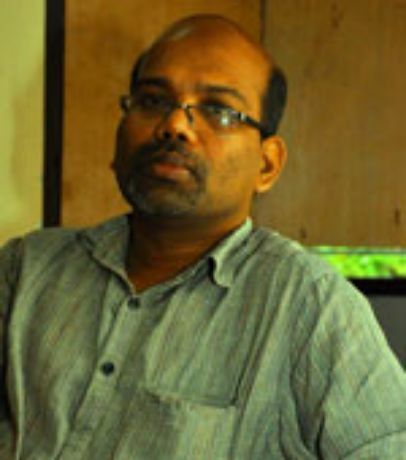 He has also been the editor of several ‘dalit’ magazines. 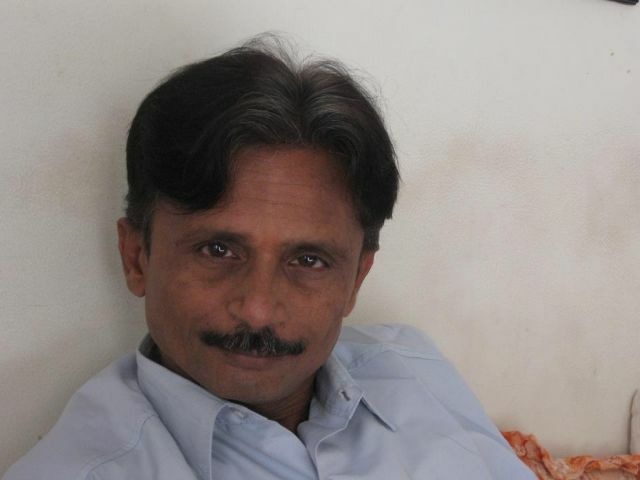 He has published two volumes of poetry in English, besides a volume of poetry in Gujarati. 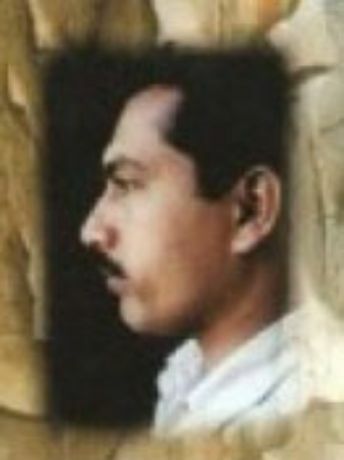 Niranjan Bhagat was born and brought up in Ahmedabad. 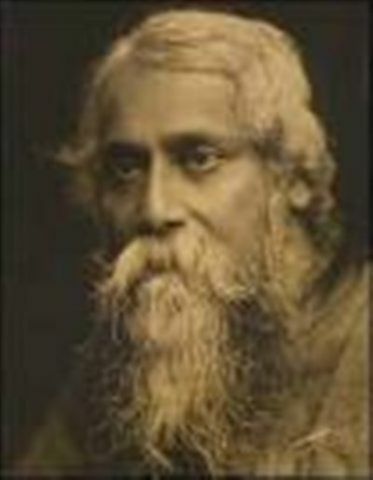 Bhagat studied French and Bengali at school, languages that came in handy later on when he translated Tagore from Bengali and read the French poets. He went to colleges in Mumbai and Ahmedabad, and was influenced by literary friends like S.R. Bhatt, Madia, Harishchandra Bhatt, and Ramnarayan Pathak. Bhagat has distinguished himself as a poet of city life. He has published several volumes of poetry, literary criticism, and edited compilations. He has also translated Tagore and Auden. 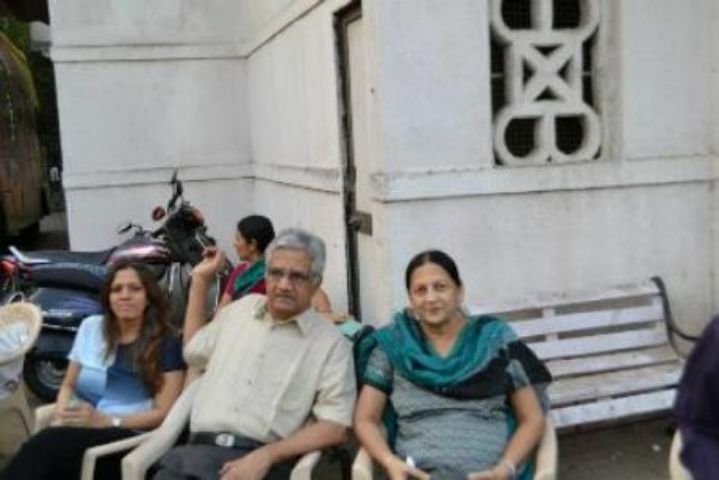 He retired as a professor of English from St. Xaviers College, Ahmedabad. He has served as the President, Gujarat Sahitya Parishad and as the Editor of ‘Sahitya’. He has been the recipient of the Narmad, Ranjitram, and Kumar Gold Medals and and an award of the Delhi Sahitya Akademi. 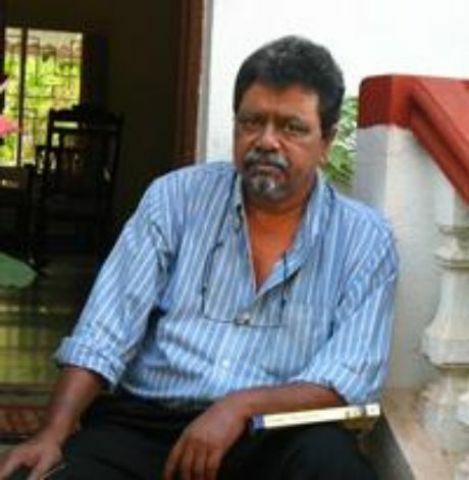 His poetry collection includes Chhandolay (1947), Kinnari (1950), Alpaviram (1954), 33 Kaavyo (1958), and the latest 86me (2011). Prepared for the 20th India Poetry Reading at Harvard University, May 15, 2016. 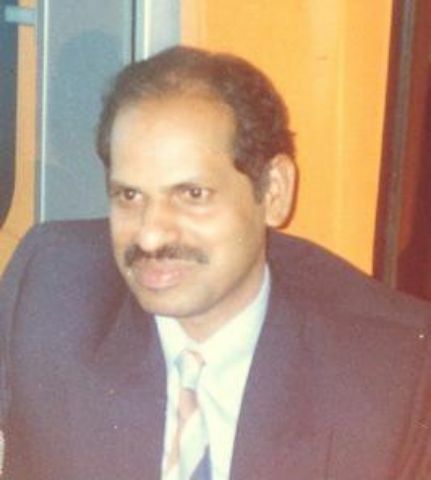 Pavankumar Jain was born and brought up in Mumbai. The family was originally from Gujarat, but several generations back had migrated to Rajasthan. Jain started writing early. Writing short stories was a greater passion than writing poems. He has translated some 350 folk tales from all over the world into Gujarati, for which he got an award from Gujarati Sahitya Akademi. He says that he has not been influenced by any writer, and that he is quite eclectic in what he enjoys. He likes literature that surprises him. He has published poems and stories. Born in Samarkha, a township in Kheda district of North Gujarat, Philip Clarke went to a school in the town of Anand in Central Gujarat. 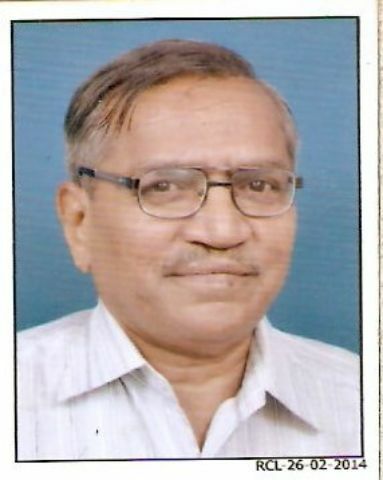 He retired from the Government Central Press, Gandhinagar. He has published over 20 volumes of poetry, literary appreciation, and children’s literature. He has also written short stories and humorous articles. He is the editor of a literary magazine. From childhood, Clarke could not tolerate wrong. He turned into a poet of protest and concrete action. He has low tolerance for the crooked ways of modern times. He prefers a poetry that illumines matters that affect human life that searches for the genuine and original rather than the distractions of the flashy and the topical. 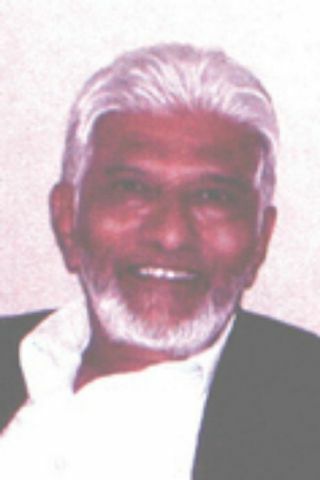 Prabodh Parikh was born in the town of Nadiad, Kheda district, but brought up in Mumbai. He got an M.A. in logic and philosophy, and then another M.A. in these subjects from State University of Louisiana, U.S. He has taught at Mithibai College, Mumbai. Beside poetry, Parikh also has a strong interest in painting, and he has exhibited in India and the U.S. 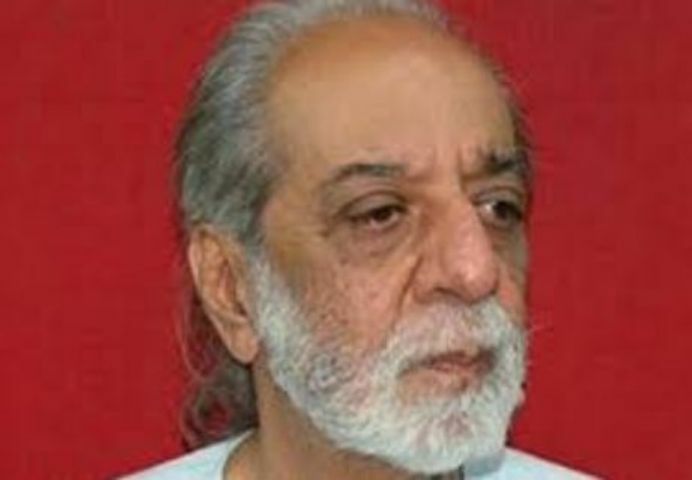 He has received an award for his poetry from Gujarat Sahitya Academy. He lives in Mumbai. 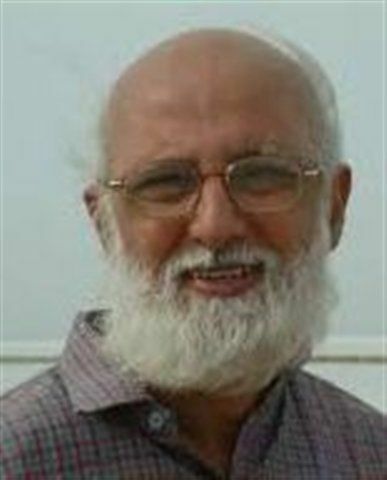 Parikh has published a volume of poetry and also a volume of short stories. Parikh has been a modernist and an experimentalist, and he has gone through many cerebral tumults. Pravin Gadhwi was born in the town of Modhera in Mehsana district, North Gujarat,, famed for its sun temple. His father was a teacher in a primary school; more importantly, he was a scholar and a grammarian. There was a goodly library at home, which stimulated young Pravin’s literary appetite. His later schooling was in Ahmedabad. 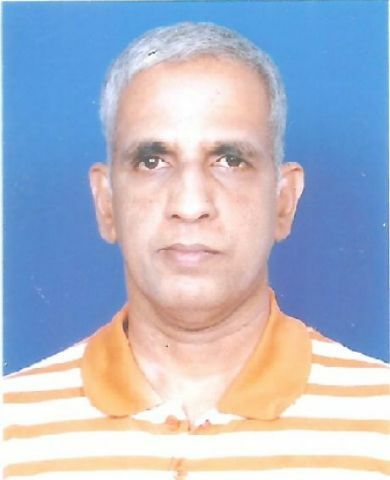 Pravin Gadhwi is an official of the Government of Gujarat. 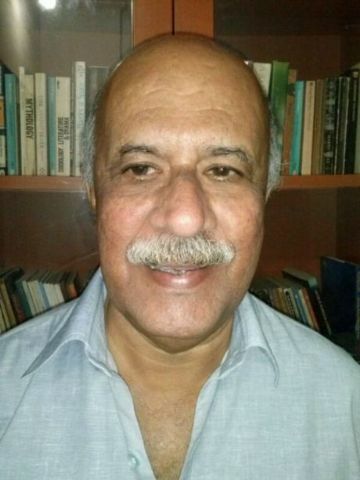 Gadhwi has published several volumes of poetry, literary criticism, stories and edited compilations of folk songs. 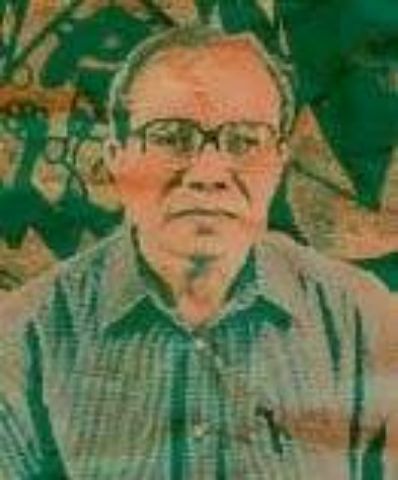 His métier is ‘Dalit’ (oppressed communities, especially the ‘untouchables’) poems and stories. 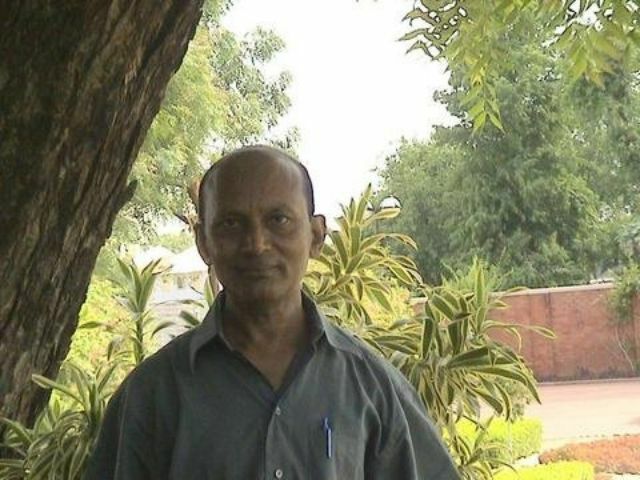 He has won an award of the Government of Gujarat for a collection of his short stories. 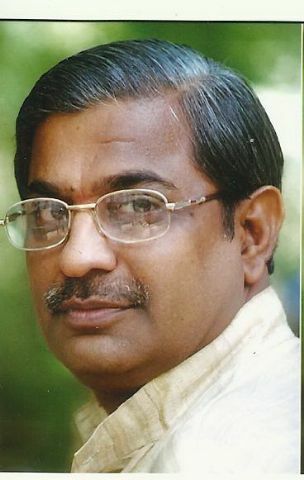 Priyakant Maniyar hailed from Amreli in Saurashtra, but was born in Viramgam, also in Saurashtra. In Ahmedabad, he ran a shop selling ivory bangles. Tragically, he died of a heart attack while shuttering his shop. Priyakant was an exceptional symbolist and imagist poet – his first volume of verse was titled ‘Prateek’ (Symbol). He authored seven volumes of poems; two were published post-humous. He was awarded the Kumar Gold Medal and the Umashankar-Sneharashmi Award. He also received an award of the Delhi Sahitya Akademi. 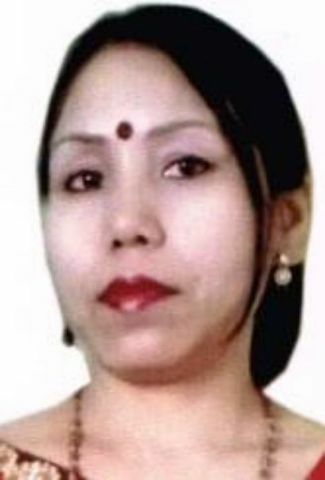 Priyakant also wrote numerous songs. 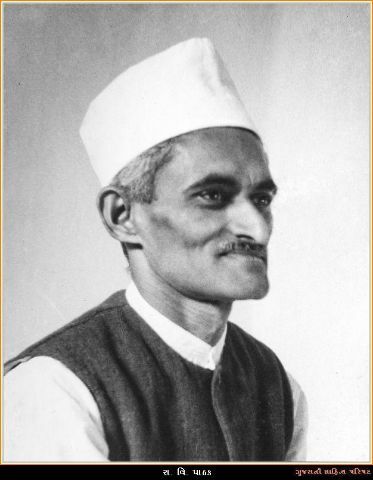 Rajendra Patel was born and brought up in Ahmedabad. His father was an agriculturist, who went to Ahmedabad to work in a mill. 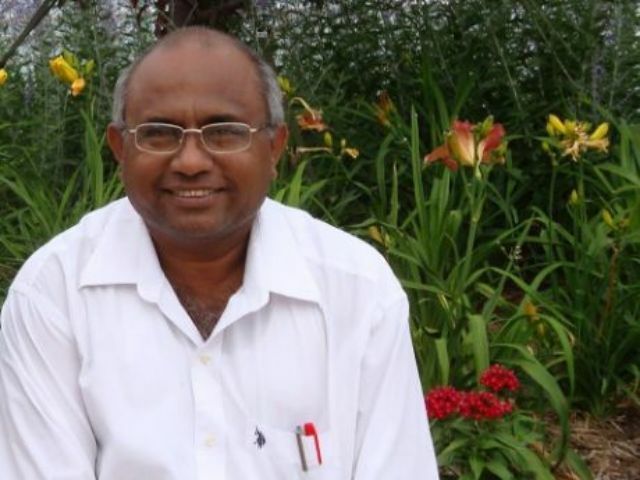 He is connected with several institutions, including Gujarati Sahitya Parishad, where he became the Treasurer in 2006. 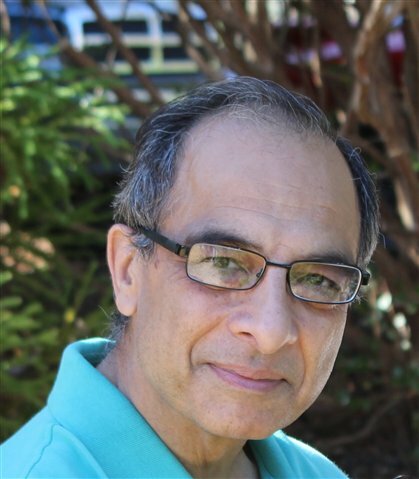 Patel has published collections of poems, short stories, and essays. He has won the best poem of the year award of the literary magazine Kavilok. 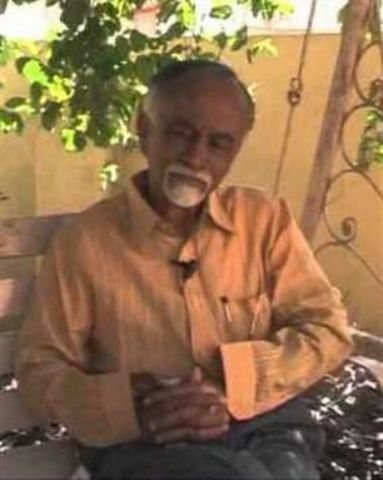 Ramesh Parekh was born and brought up in the town of Amreli in Amreli district of Saurashtra. 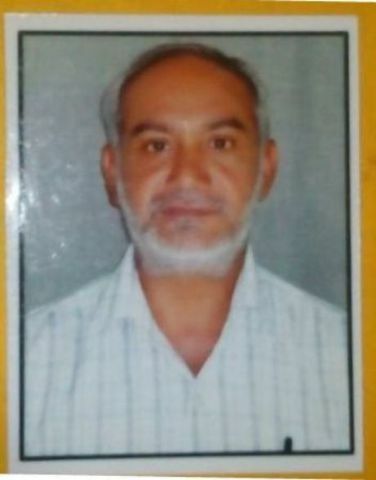 He retired after 28 years service as an official of the Zilla Panchayat, Amreli, a local self-government body. 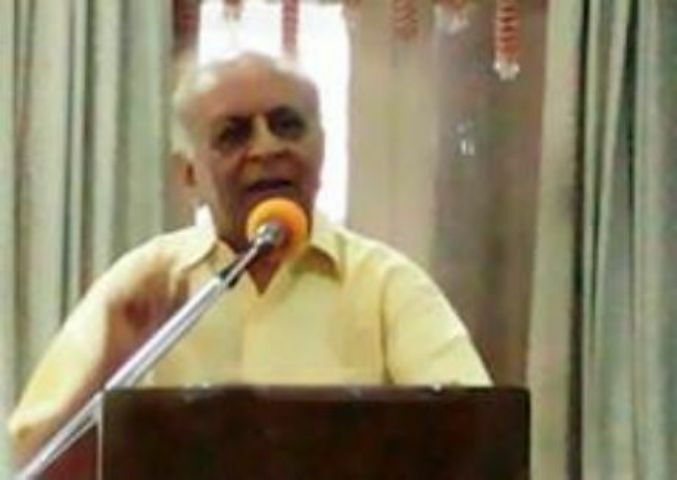 Parekh was born in a family without any literary credentials ‘for seven generations’! Nor did Amreli offer an access to a good library. He claimed that he had read more detective novels than literary works! 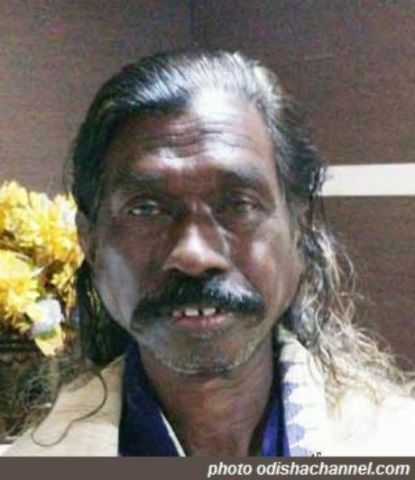 A school dropout because of financial reasons, but a man of great energy and resolution, poet Suresh Dalal has described him as a man of prodigious creativity. 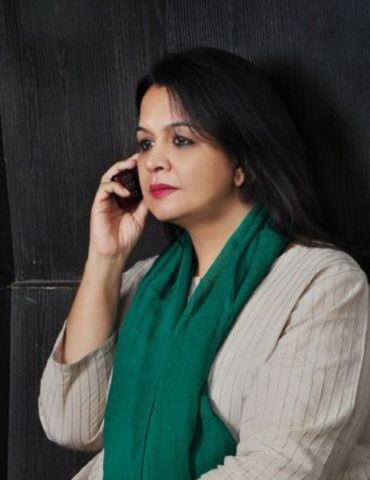 Parekh went through many passions – of singing poems set to ‘Harigeet’, a balladic metre; painting; short story writing; and then, after befriending poet Anil Joshi, poetry. He had a very earthy appetite for fame through poetry, and he sat about to publish volume after volume of poetry. 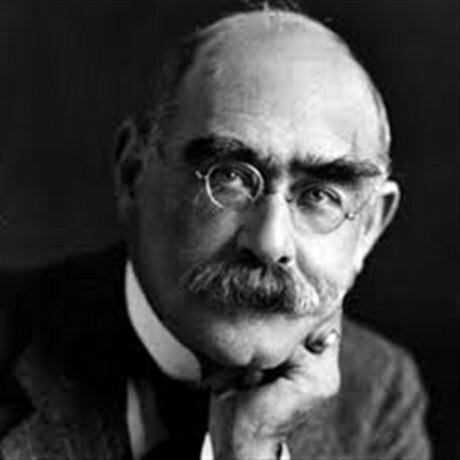 He published several volumes of poetry, children’s literature, a book of essays, and a book of short stories. Ravji Patel was born inVallavpura village of Kheda district in central Gujarat in an agriculturist family. His father struggled to make two ends meet by engaging in tobacco trade. Patel had his schooling in the village and then in the town of Dakor. He went to college for a couple of years. Circumstances forced him to seek work in a textile mill in Ahmedabad, in a publishing house, in a library of a university etc. He even had a stint with a couple of newspapers. He died at 29 of TB. He was a wiry, sprightly, somewhat unpredictable person who loved life the more it receded from him. Patel began to write poetry in high school. Ahmedabad offered a stark contrast to the bucolic life he had led in his village. In Ahmedabad, Patel joined Budh Sabha and Re Math, two conclaves of poets (Re Math was the more rebellious of the two). Although he interacted with many influential and radical poets, he retained his originality. Sanju Vala was born and brought up in the township of Badhda in Savarkundla taluka of Saurashtra’s Bhavnagar district. He was born in a family of unlettered weavers, who were also engaged in farming.He is an employee of the Government of Gujarat. 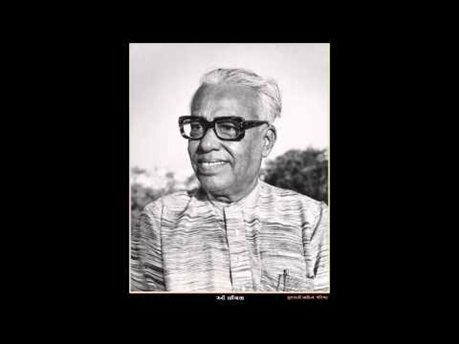 Vala’s brush with poetry began early in life through bhajans (devotional songs) – his grandmother was a locally known singer of bhajans, and so was his father. At twelve he composed some ‘dohras’ (metrical songs). In his late teens he had to take a job in the town of Jasdan, where loneliness was compensated by the pleasures of a library. There he encountered Urdu ‘shayari’ (poetic genre). 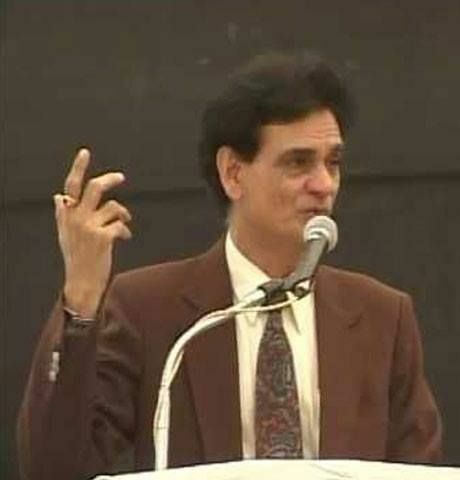 In 1988-89 he went to live in the large town of Rajkot and met a number of poets. From metrical verse he tilted towards free verse, and he began to experience and explore the complexities and exigencies of city life. As he has put it in a poem, ‘At the bottom of the miles deep waters/ search for a breath or two’. Sitanshu Yashaschandra was born in Bhuj, Kutch district, his native place being the town of Petlad in Central Gujarat. He learnt poetics at St. Xaviers College from Gauriprasad Jhala. Early in life he decided that to seek anything from poetry except poetry was unacceptable. He went to the U.S. for a Ph.D. at the University of Indiana, and later to Paris for the same purpose. 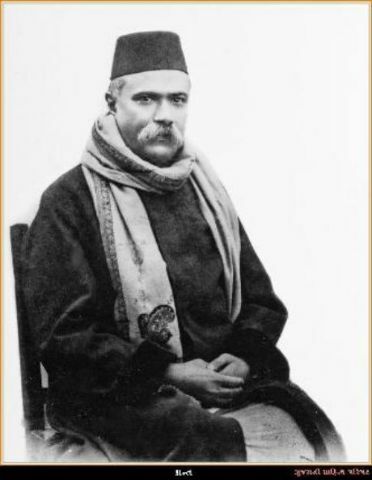 Later he joined the Sahitya Akademi in New Delhi and was the Chief Editor of the Encyclopaedia of Indian Literature. 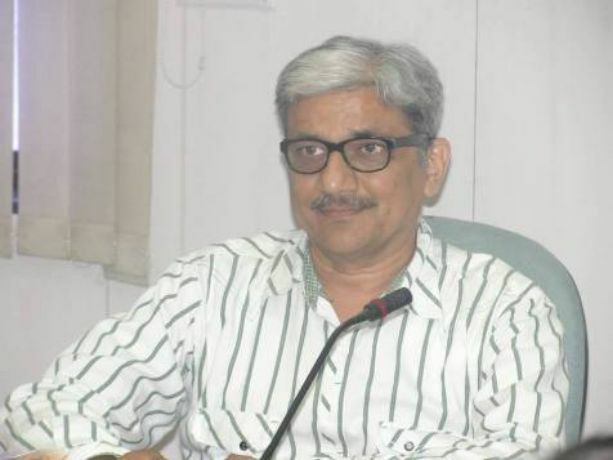 He had a stint as the Vice Chancellor of Saurashtra University, Rajkot. 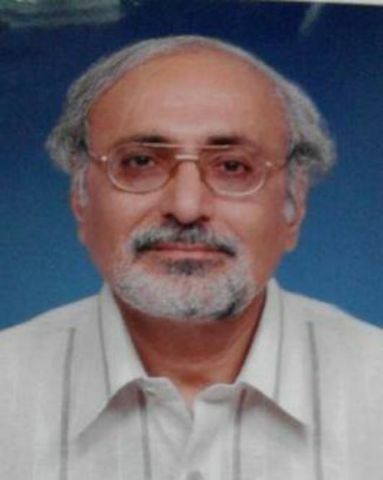 He retired as the Head, Gujarati Department of M.S. University, Vadodara. Yashaschandra lost his father at 7, and claims to be constantly seeking him. His poetess daughter Vipasha is an invalid from birth, and a constant effort of the parents has been to enable her to live life fully. He was nurtured as a child on the ‘secular’ stories his mother told him. Sitanshu’s restless mind tried to make sense of ‘all this’. Suhas Oza hails from Ahmedabad but was born in the port town of Khambat. Her father served as ‘diwan’ (minister) in various princely states, and so she had stints in Khambat, Jamnagar etc. before she took up residence in Ahmedabad for her high school studies. 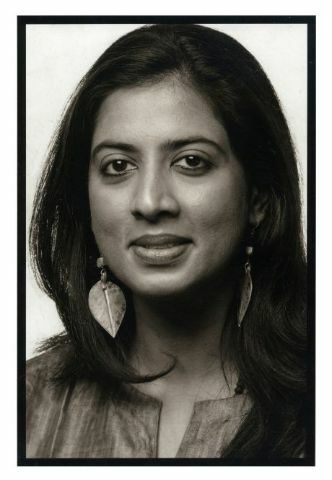 She graduated from Wilson College, Mumbai, and married Ajay Oza, a professor of economics. 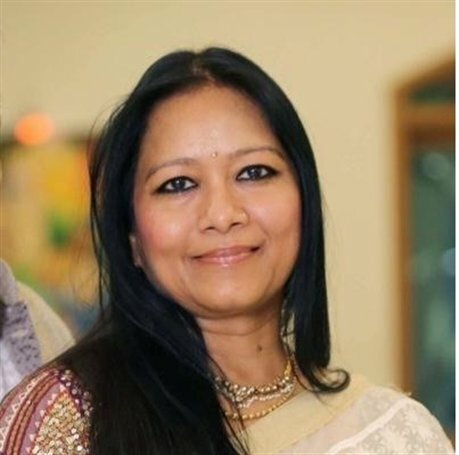 She spent some time in Britain with her husband, but returned to live in Mumbai. 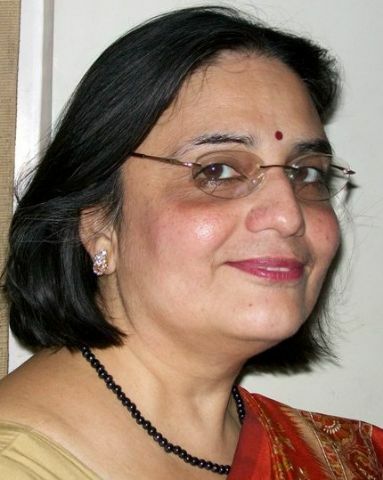 In Mumbai she joined a literary publication and also contributed articles to the magazine.Later she moved to Ahmedabad, where she became a school teacher. Both of her sons head voluntary social service delivery organizations. 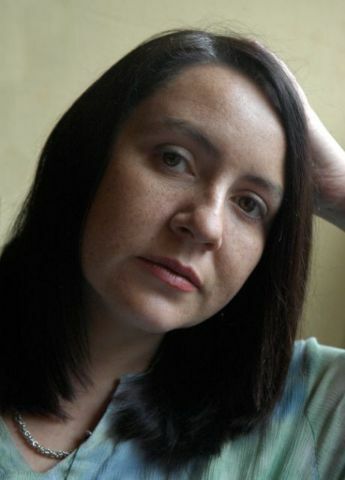 Oza has published two novels and a collection of poems. She has also published a number of short stories, one of which was adjudged the best in a literary competition. 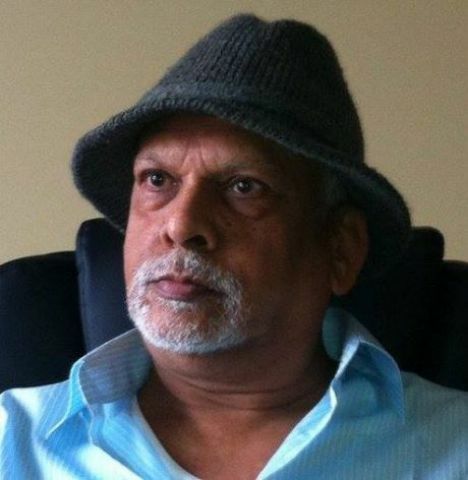 Born and brought up in Mumbai, Suresh Dalal retired as the Director, S.N.D.T. Women’s College. He also had a short, unhappy stint as the Vice-Chancellor of M.S. University, Vadodara. He ran a publishing house named Image Publications. 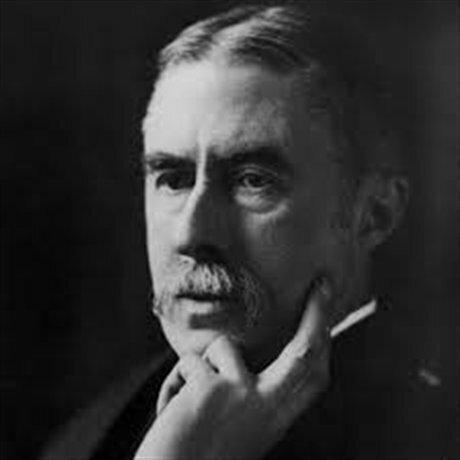 He has had been a prolific publisher, with over 40 volumes of poetry, besides publications of essays, short stories, literary criticism, edited compilations, translations etc. to his credit. 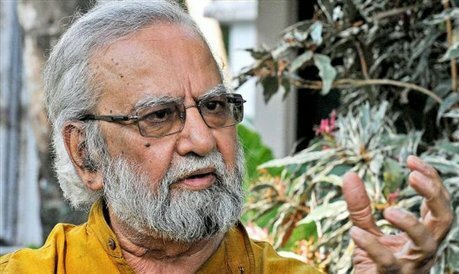 He has had won several awards, including the prestigious Ranjitram and Narmad Gold Medals and awards of National Sahitya Akademi. 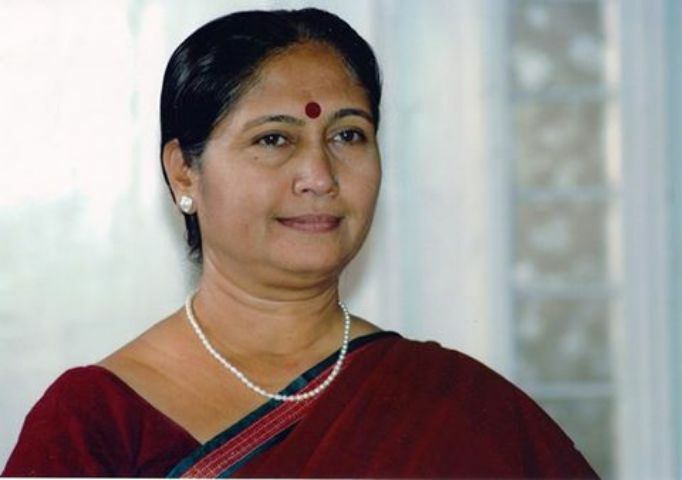 Usha Upadhyay was born in the town of Bhavnagar, known for its literary and cultural ambience. She was a voracious reader, much influenced in this habit by her mother, who too, was a voracious reader. Usha read an abridged Gujarati version of Homer’s Iliad when she was 10, and Saraswatichandra, the first major Gujarati novel, when she was twelve. She is married to an economist who also is a professor. Her schooling was at various places, while college eduction was in Bhavnagar. 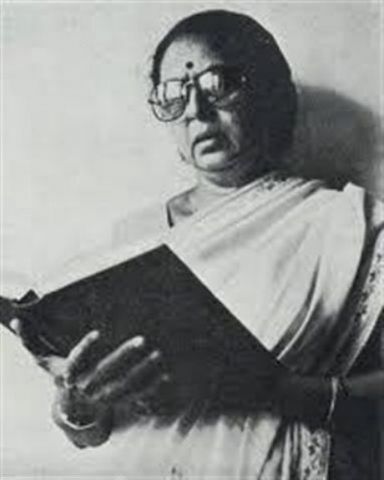 Her doctorate was in symbols of post-Independence Gujarati poetry. 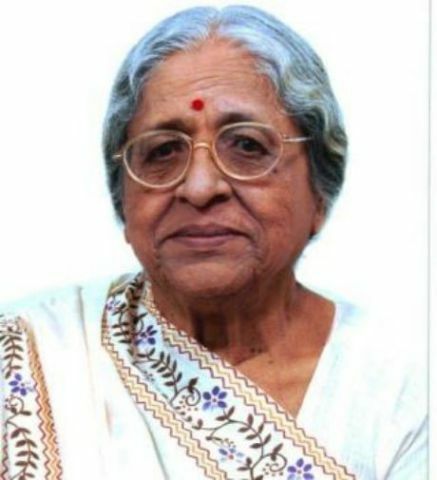 After teaching stints in colleges in Saurashtra, she joined Gujarat Vidyapeeth in Ahmedabad, founded by Mahatma Gandhi, where she is the head of the Department of Gujarati. Early influences on Upadhyay were the Gujarati poet Kant, Tagore and Kalidas. 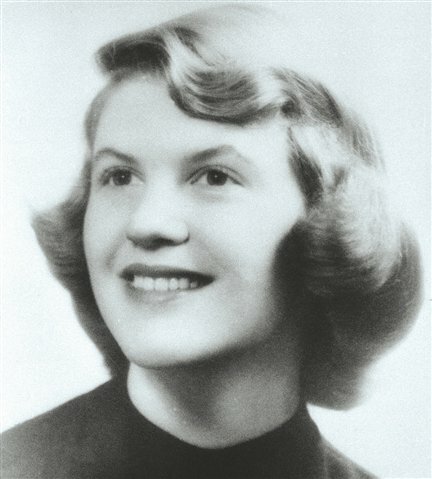 She began to write poetry in college. Initially she tried to write in Kant’s style, but soon gave this up as being imitative. 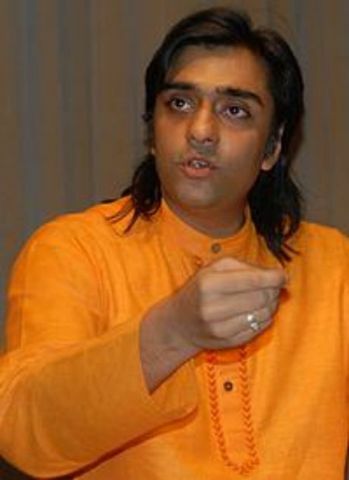 Vipin Parikh was born and brought up in a religious family in Mumbai. 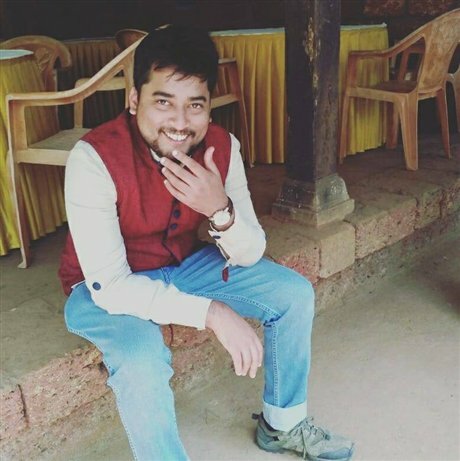 After graduating from Bombay University, Parikh joined a textile mill, but left it after 3 years to join his brother’s hardware business in Mumbai. 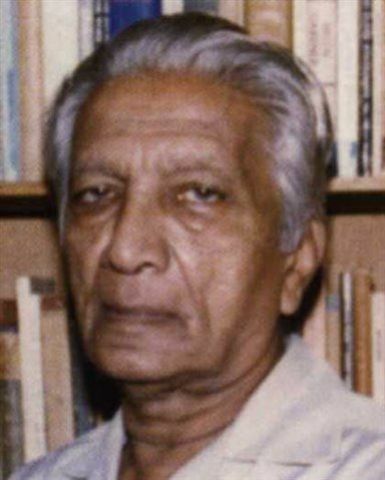 Very fond of reading, Parikh’s early influences were Buddha, Tagore, Bertrand Russell, Gibran, Krishnamurty and Gandhi (Suresh Dalal has observed that Gandhi dangles head down in Parikh’s life!). Later he came under the influence of Vinoba Bhave and Vimalatai. 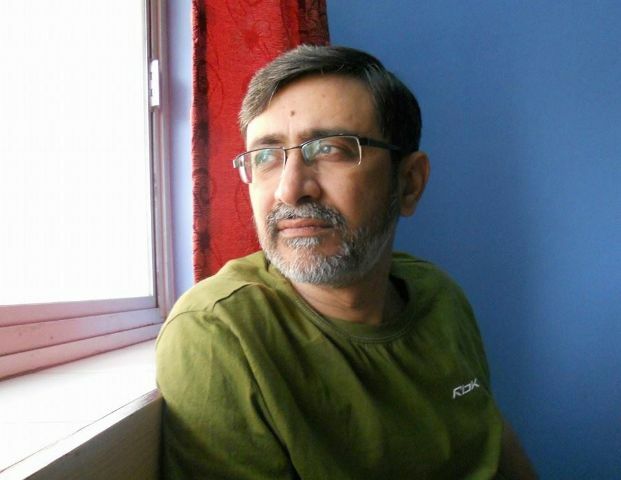 Parikh has confided that the grim realities of life jar his heart and his pains turn into poems. 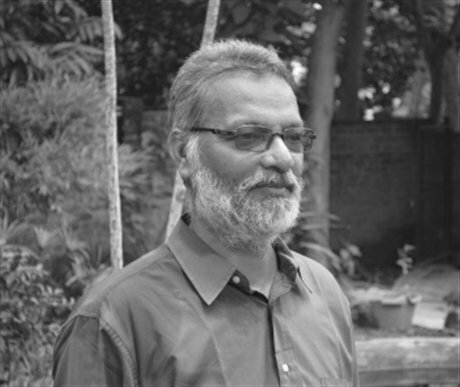 Parikh has published three volumes of poetry, and a couple of volumes of essays. Yagnesh Dave was born and brought up in the city of Rajkot, Saurashtra. He was a student of biology, with interest in ecology. 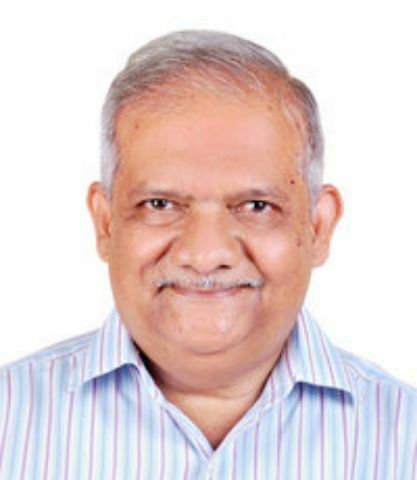 However, he has been associated with Akashvani (Government of India’s radio network), and is presently an assistant director at Rajkot. 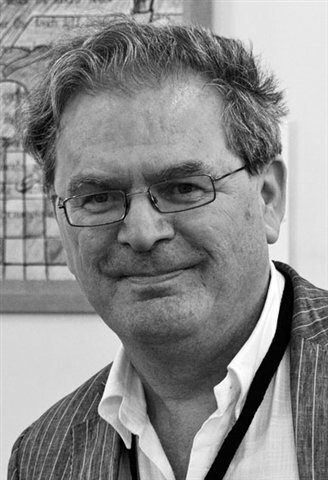 He began to write short poems, and then long ones Dave has published two volumes each of poems, essays, and children’s stories. He has also published a travelogue., and several books of translation, including one of Japanese haikus. 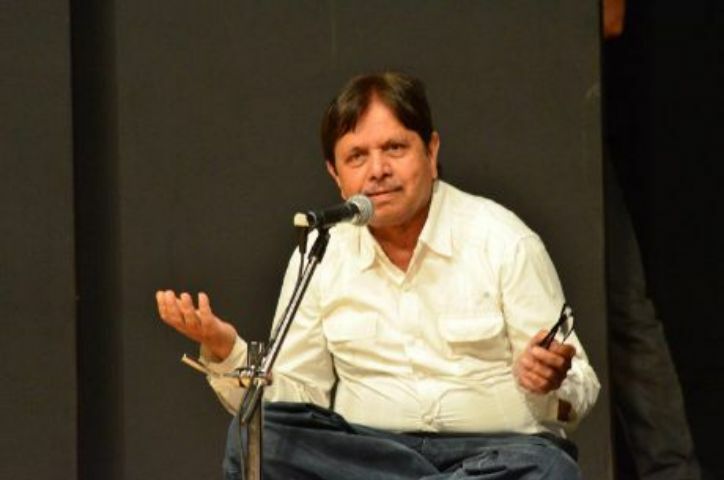 He has won a number of awards, including from the Gujarati Sahitya Parishad and Gujarat Sahitya Academy. He has also been given the Jayant Pathak, Ushanas, and B. K. Thakor Awards for poetry and other literary contributions. Some of his poems have been translated into English, Hindi, Urdu, and Bengali. 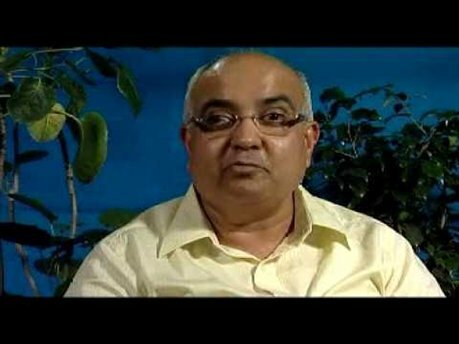 Yogesh Joshi was born in Mehsana,North Gujarat.His schooling and college studies were in Visnagar.His masters studies were in Ahmedabad. He was interested both in physics and in literature from the beginning. After his studies he has been working as an engineer in a telephone company. Currently he is the Editor of Parab, published by Gujarat Sahitya Parishad. 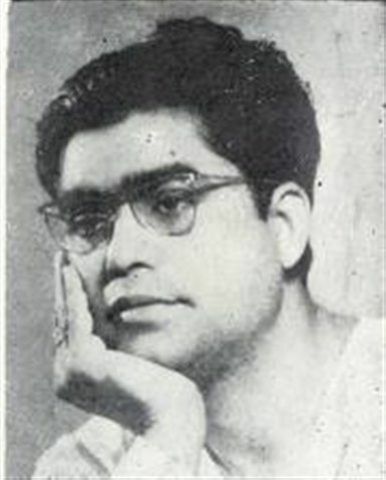 Joshi’s father wrote poetry and short stories. 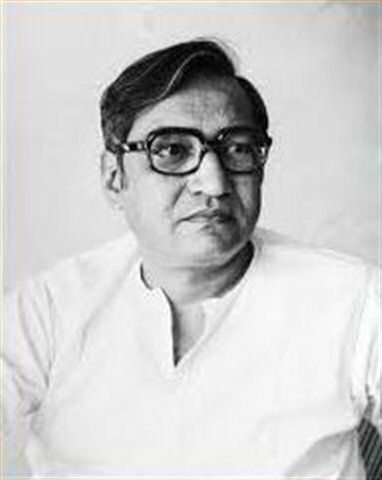 In Ahmedabad, Joshi used to participate in the Budh Sabha, a conclave of poets. Joshi says that he is mystified by the process of poetic creation. Sometimes whole poems emerge in his consciousness; many vanish if they are not penned immediately. Joshi has published three volumes of poetry, six novels, two collections of short stories, numerous books for children, and has translated into Gujarati the published diaries of Lile Baker about the cancer-afflicted but courageous dying of her husband. Designed & Developed by Asit C. Mehta Investment Interrmediates Ltd.